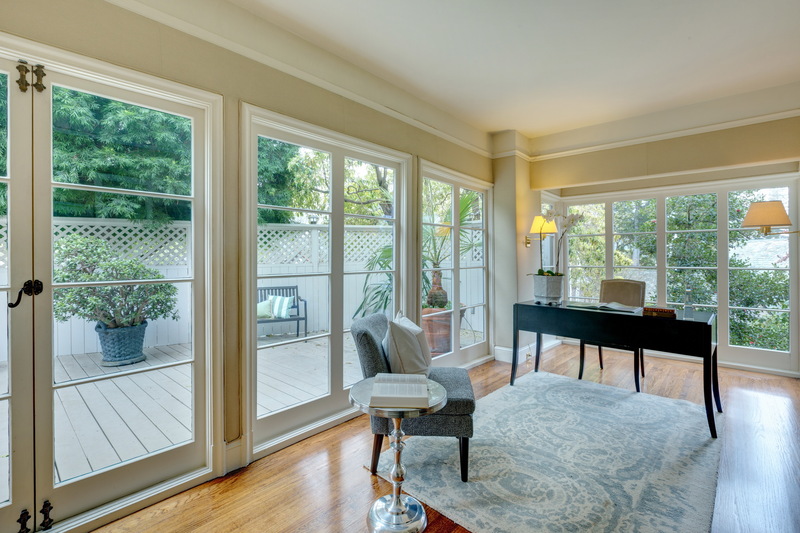 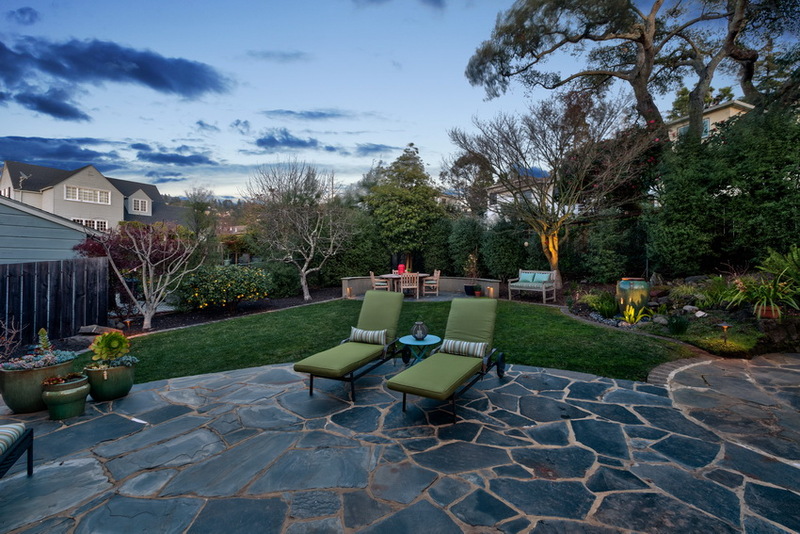 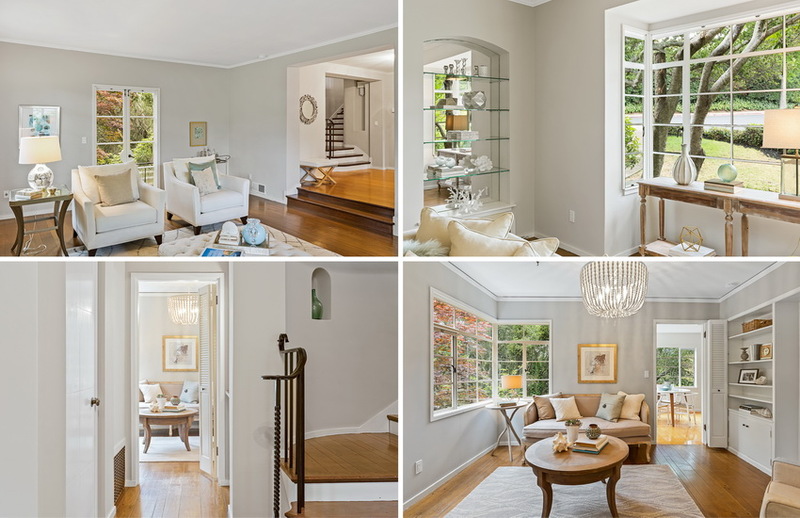 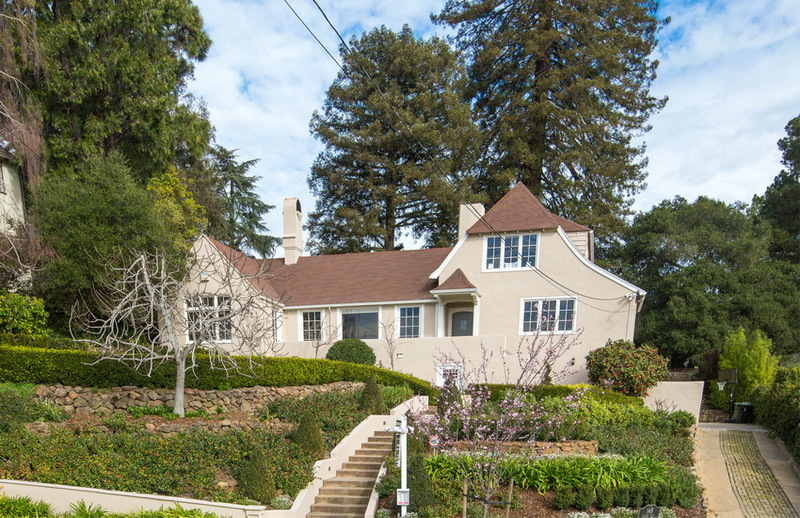 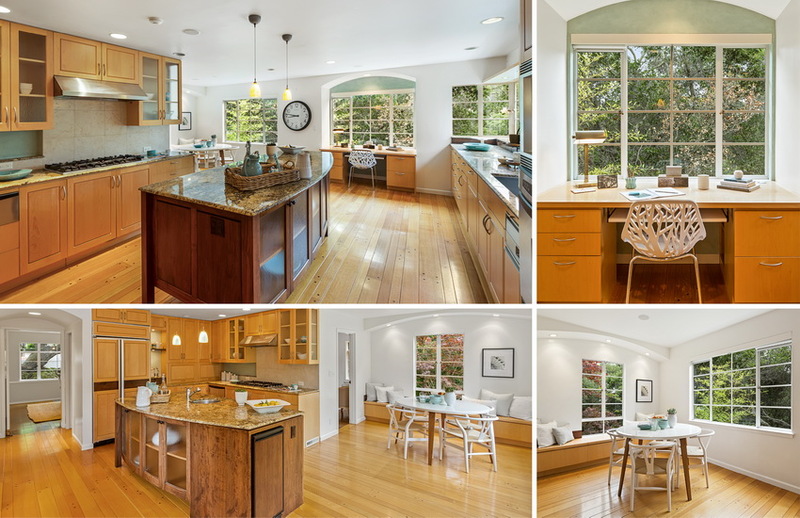 This stately Piedmont home has been lovingly maintained and updated throughout the years. 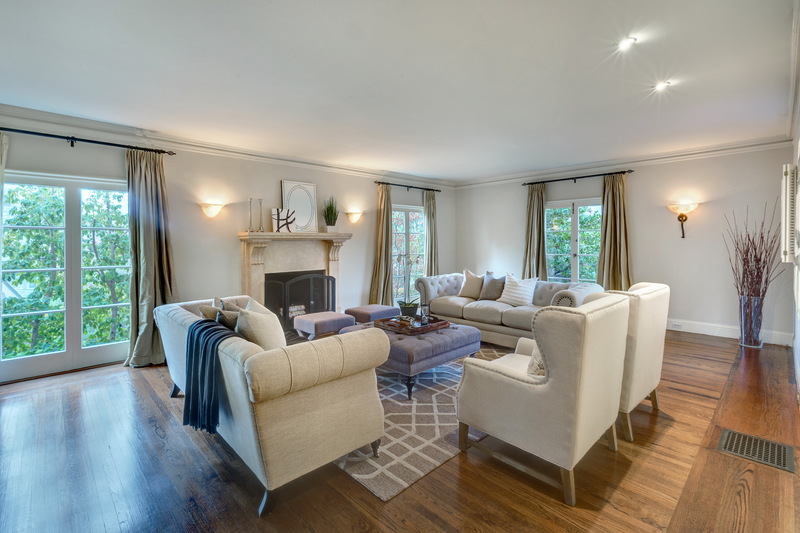 This marvelous home boasts a central floor plan, a grand formal living room with built in armoires, a wood-burning fireplace, hardwood floors, and floor to ceiling windows. 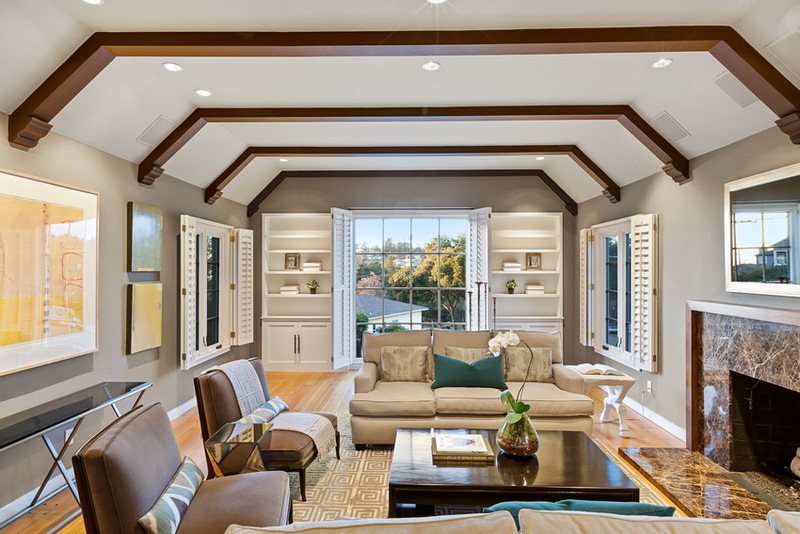 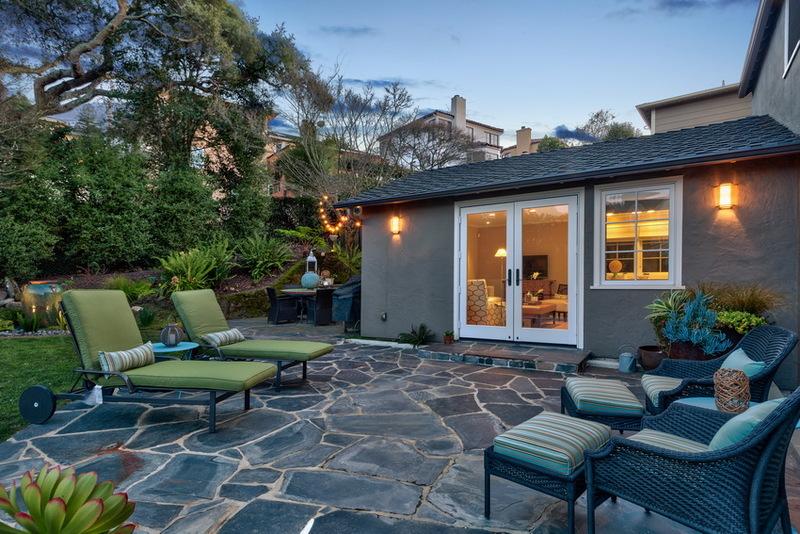 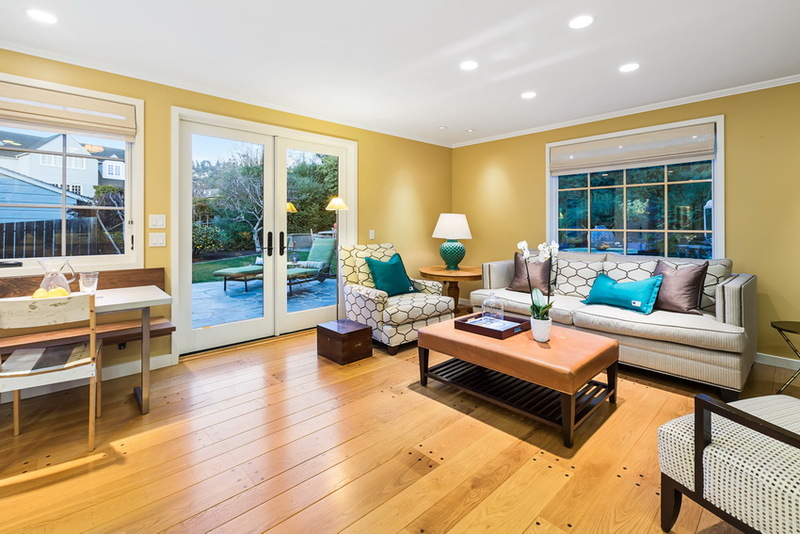 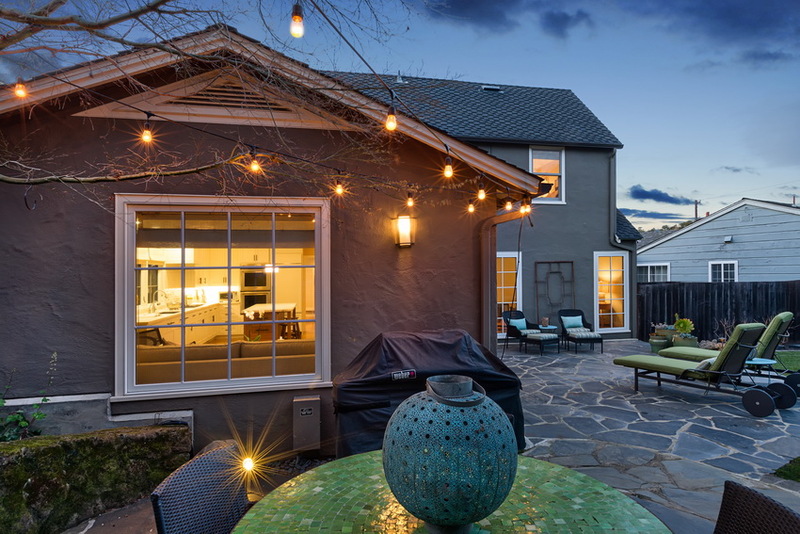 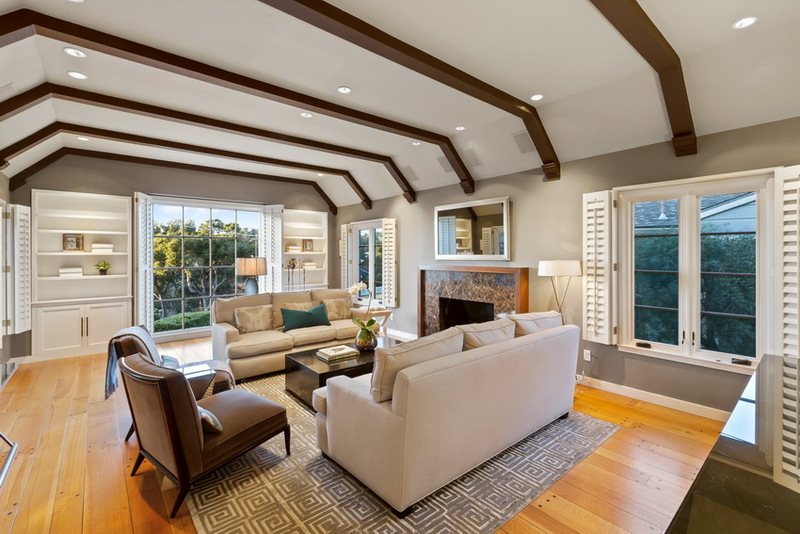 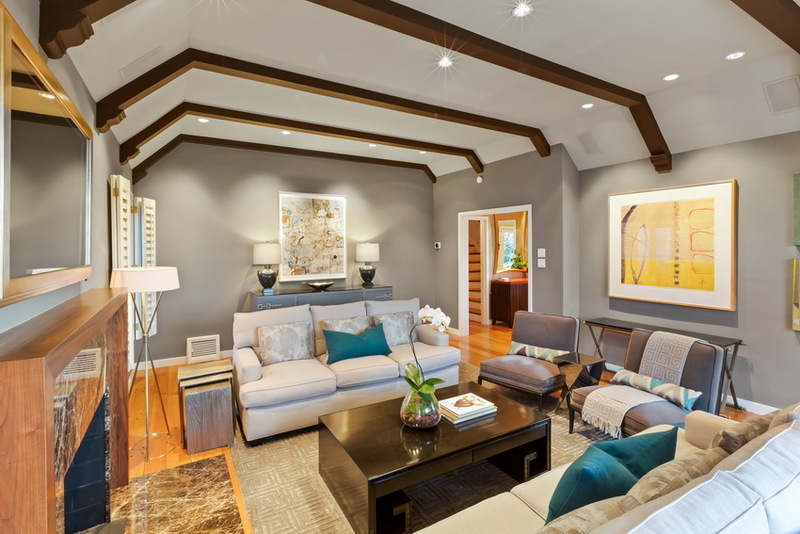 The adjacent family room with wrap around windows lead out through double doors to an expansive back deck, ideal for garden parties or lounging with friends and family. 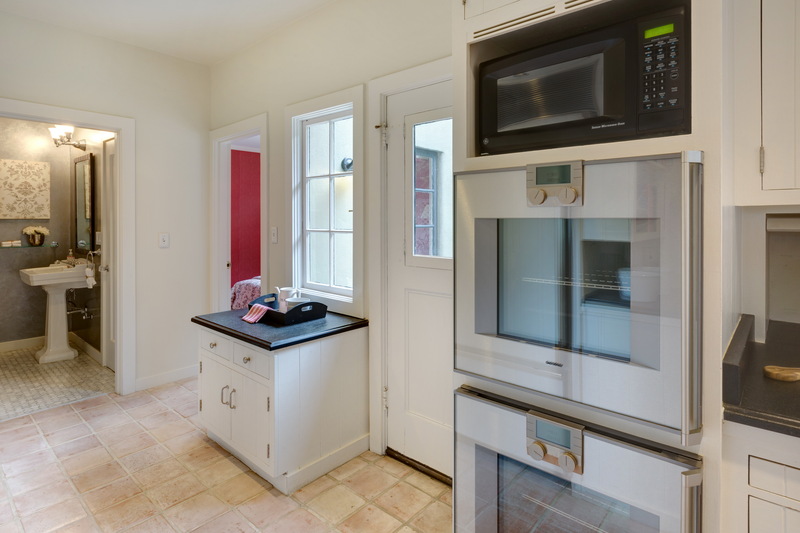 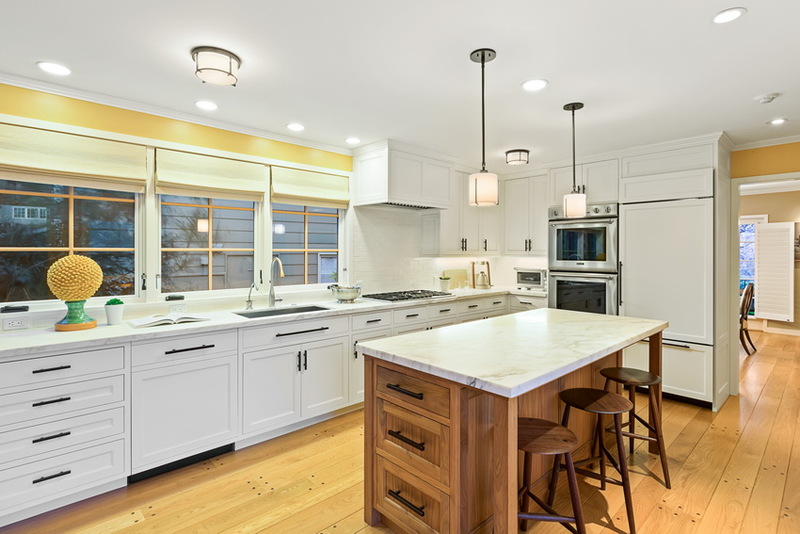 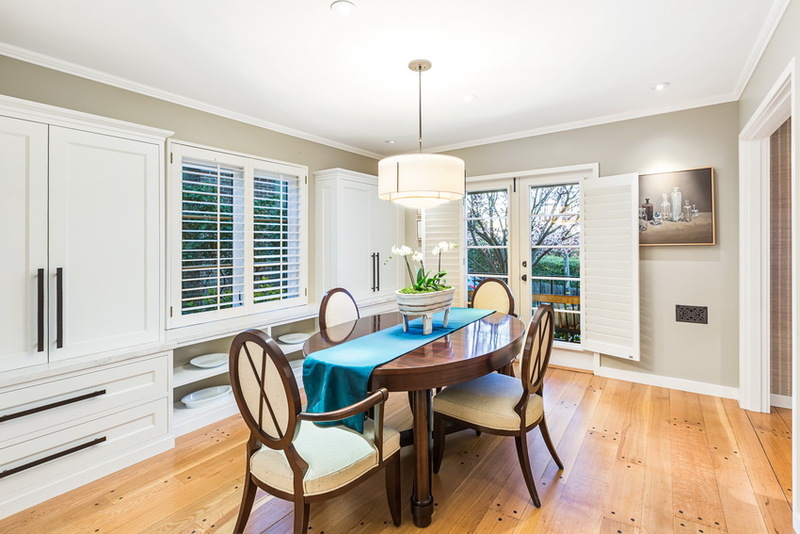 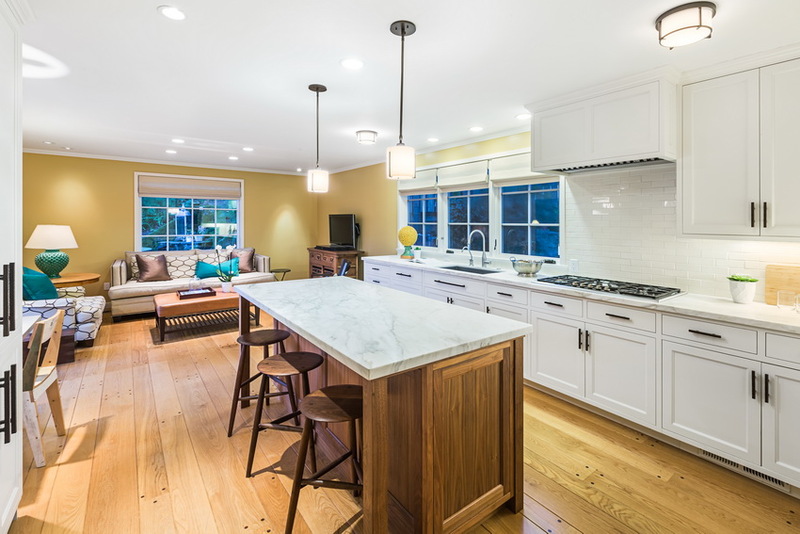 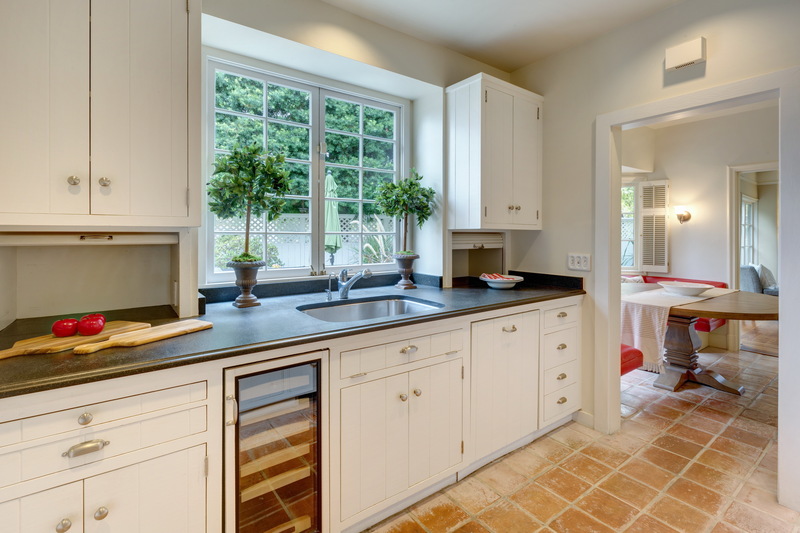 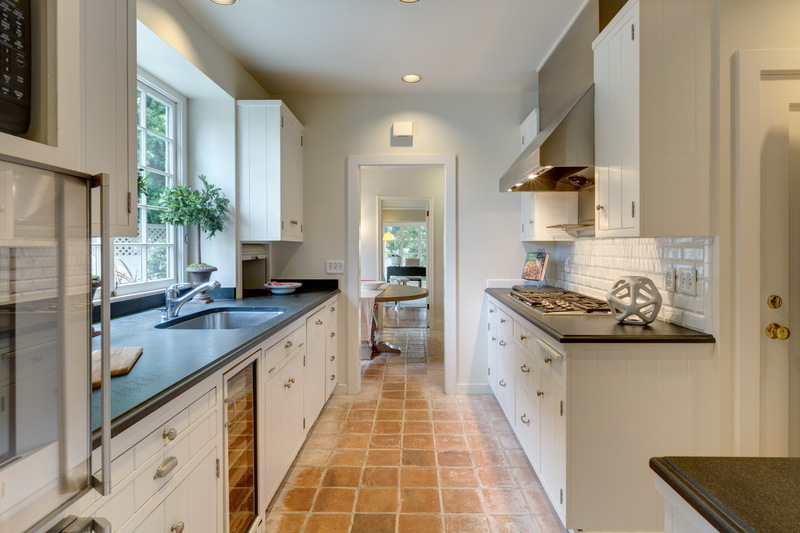 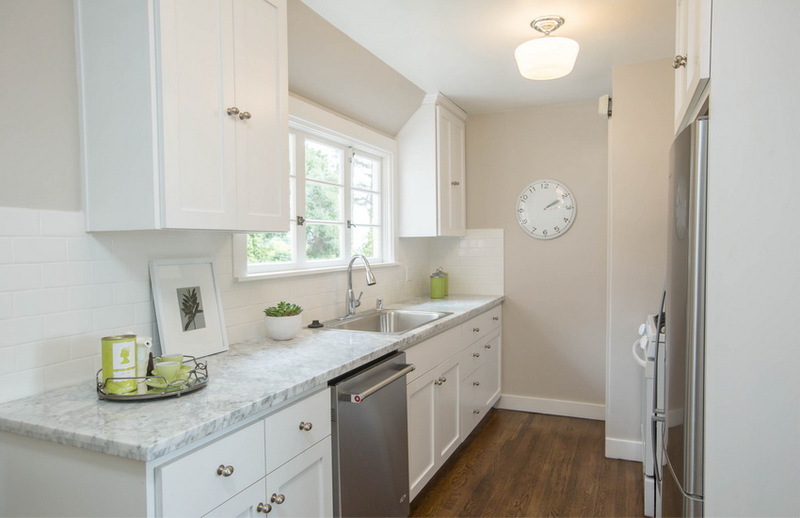 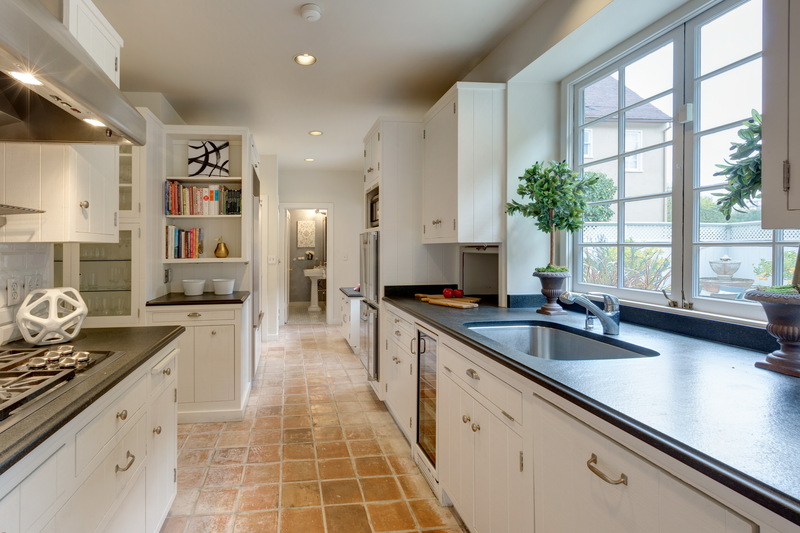 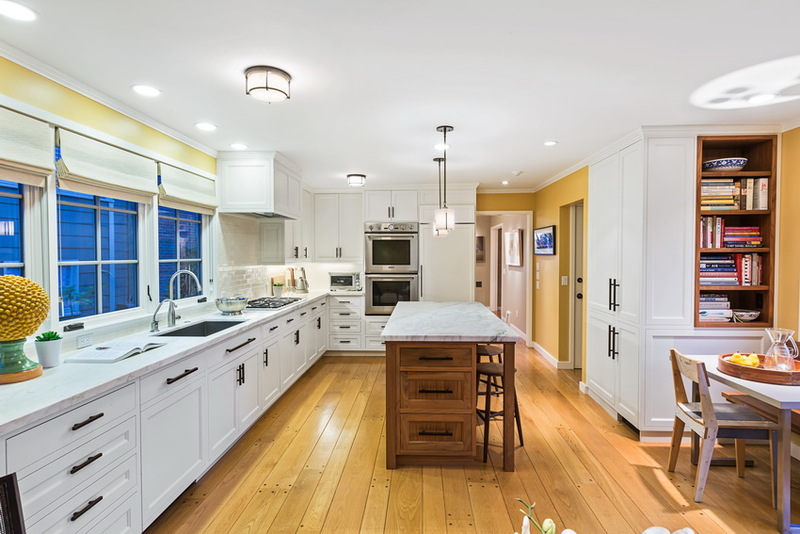 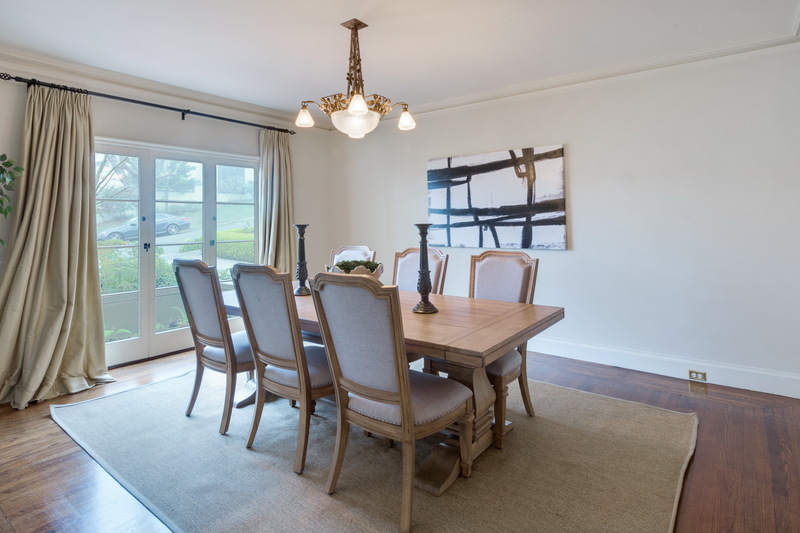 The galley kitchen boasts top of the line stainless appliances and extends to a cozy and cheerful breakfast room with banquet, and to the front of the home boasts the gracious dining room with a large picture window which looks out to lush gardens making entertaining a delight. 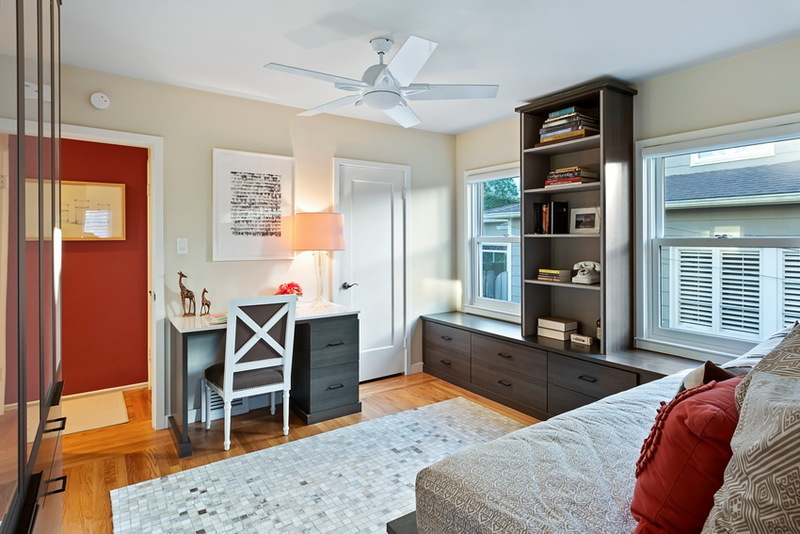 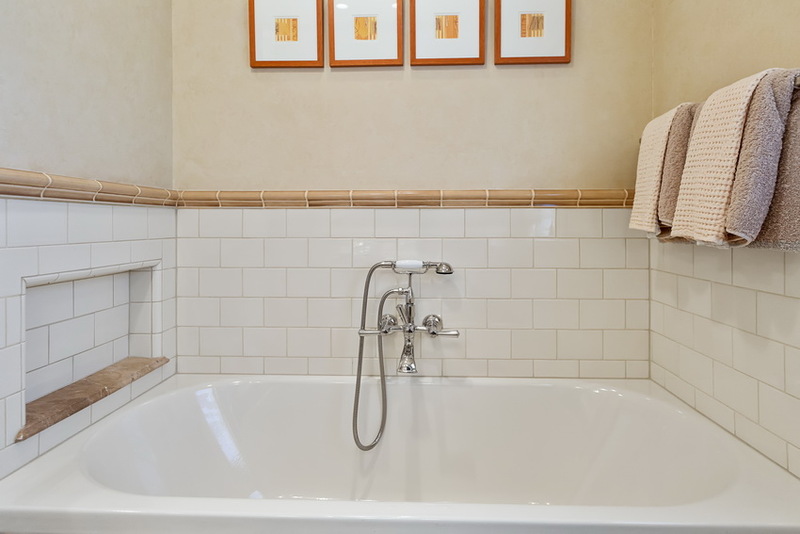 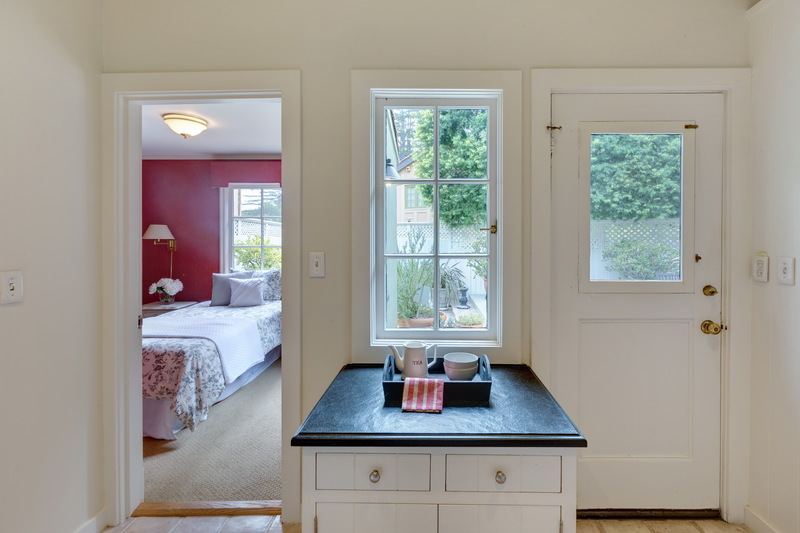 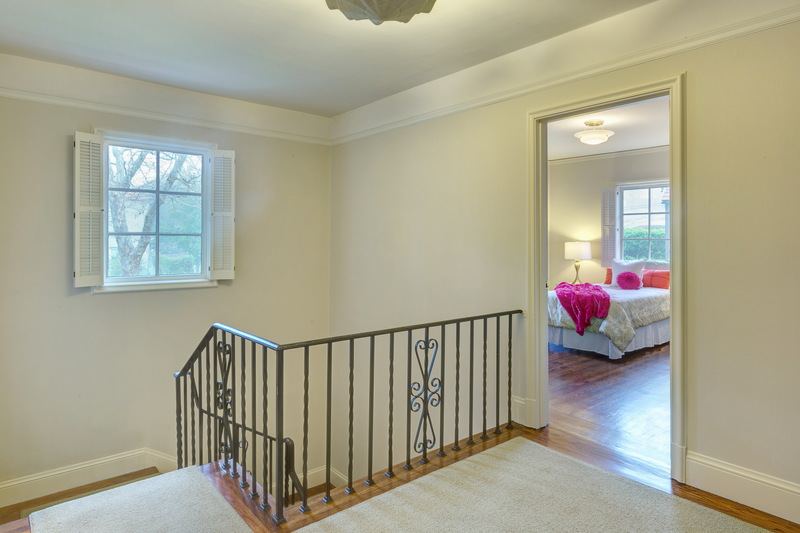 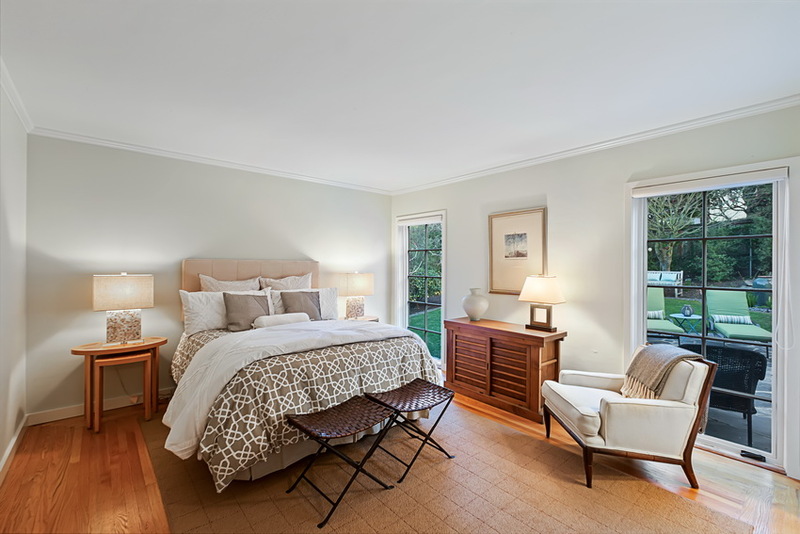 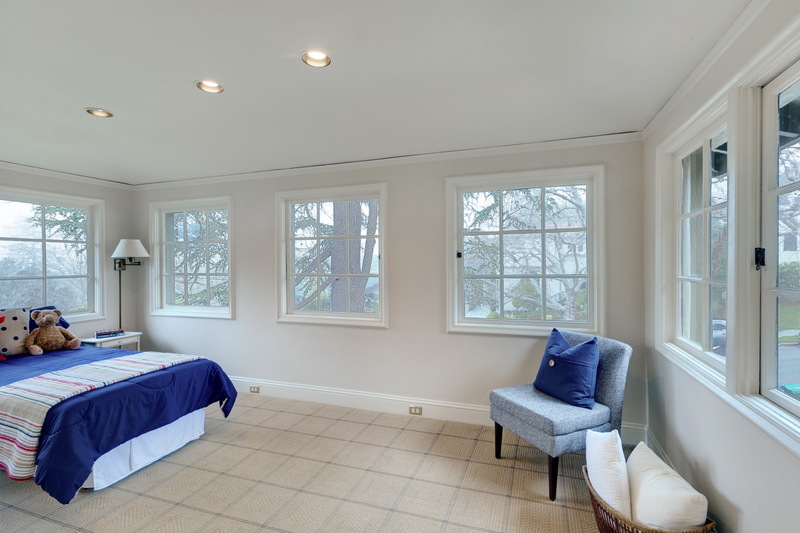 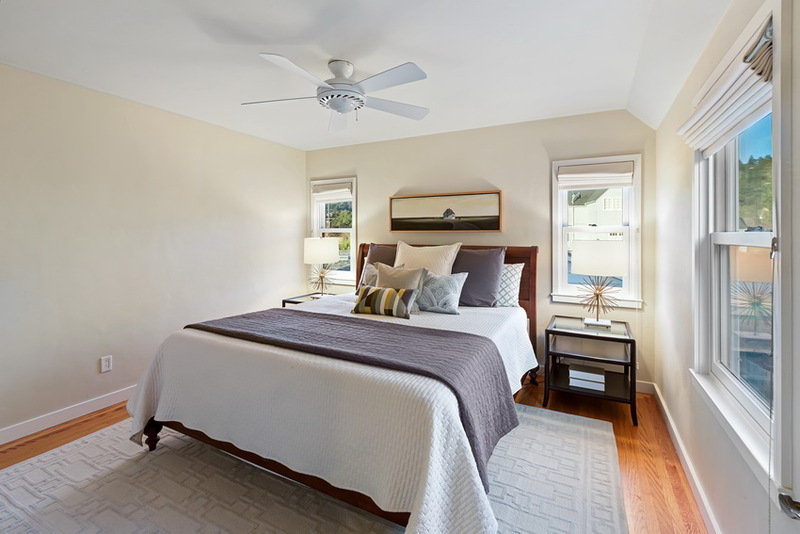 A bedroom and beautifully appointed bath, recently updated with Carrara marble and stainless finishes makes an ideal guest room or home office. 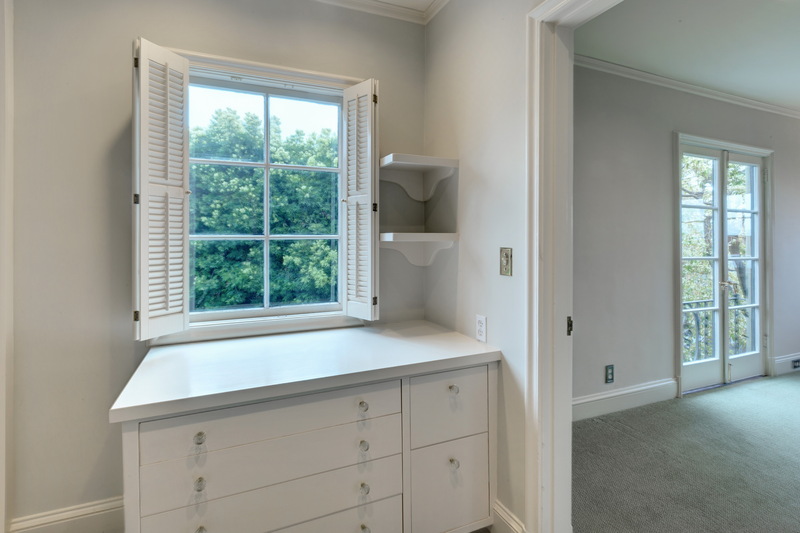 The lower level includes a laundry room and folding table which leads to the perfect teen room for late night movies and sleep overs. 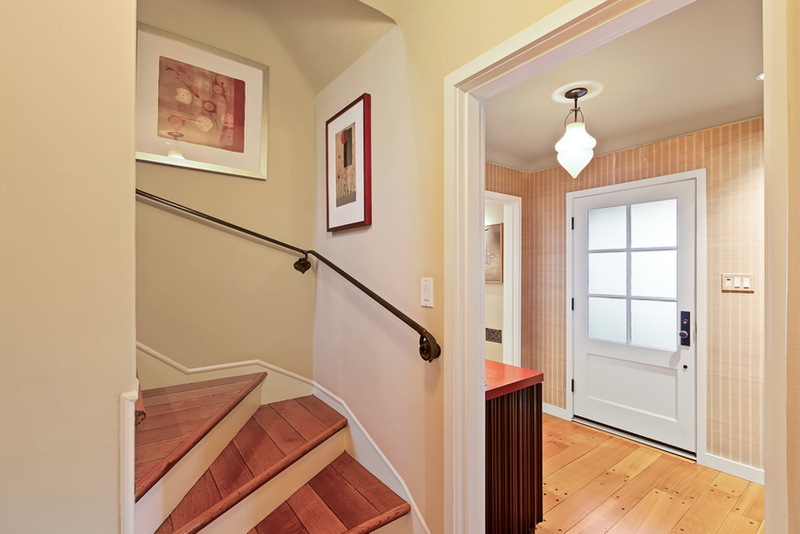 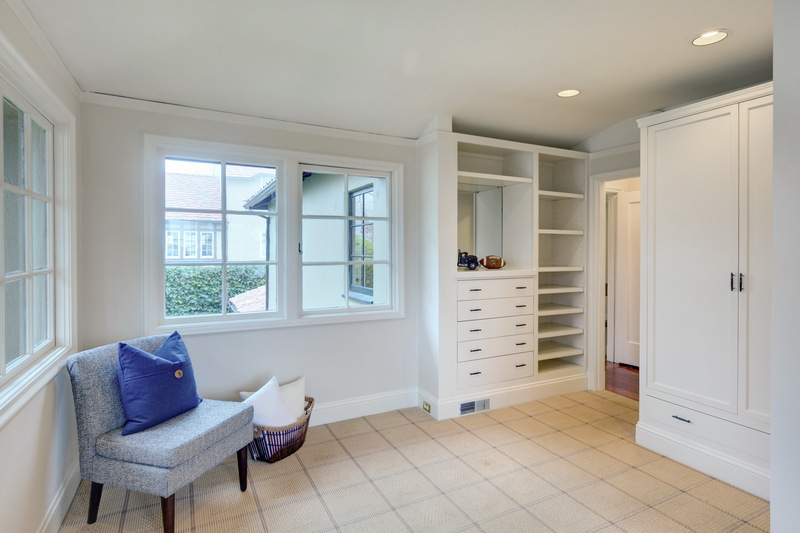 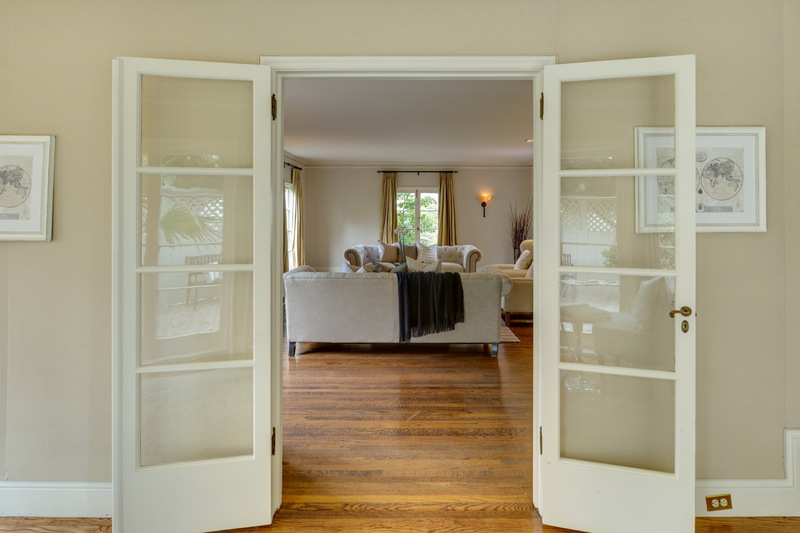 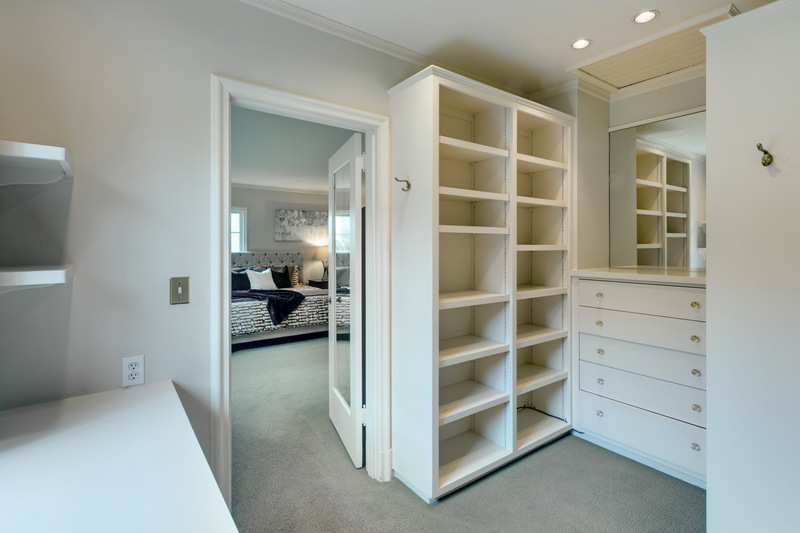 Ample storage behind the wall of doors will house all of your family treasures and more. 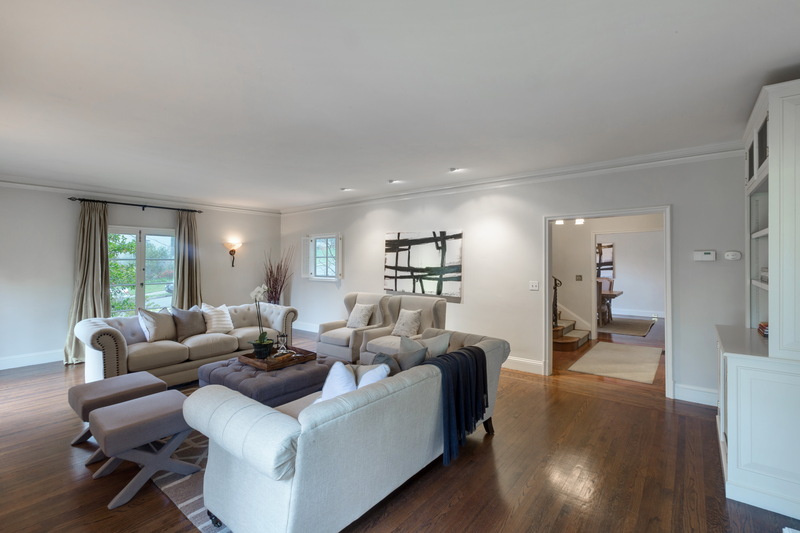 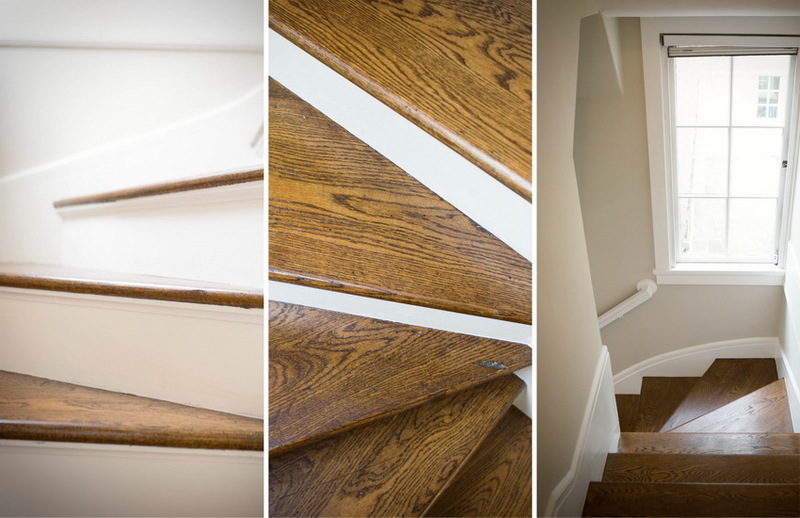 Consistent with a traditional floor plan, four bedrooms and three full baths complete the upper level. 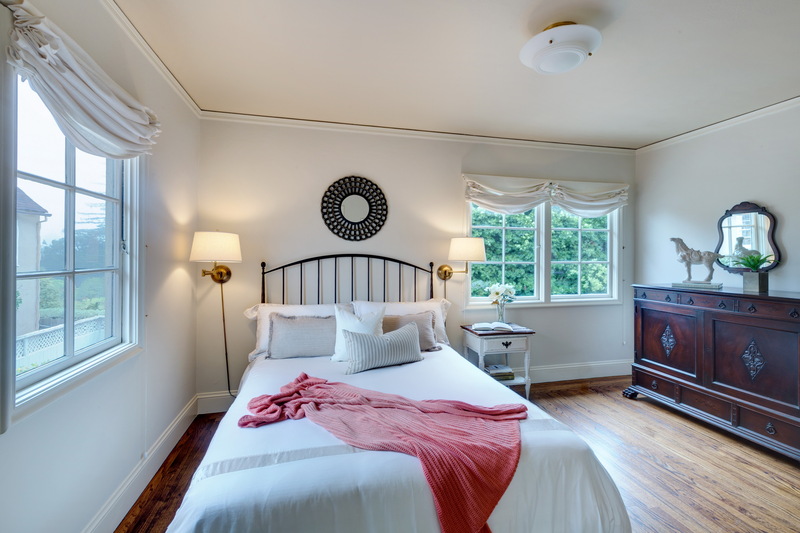 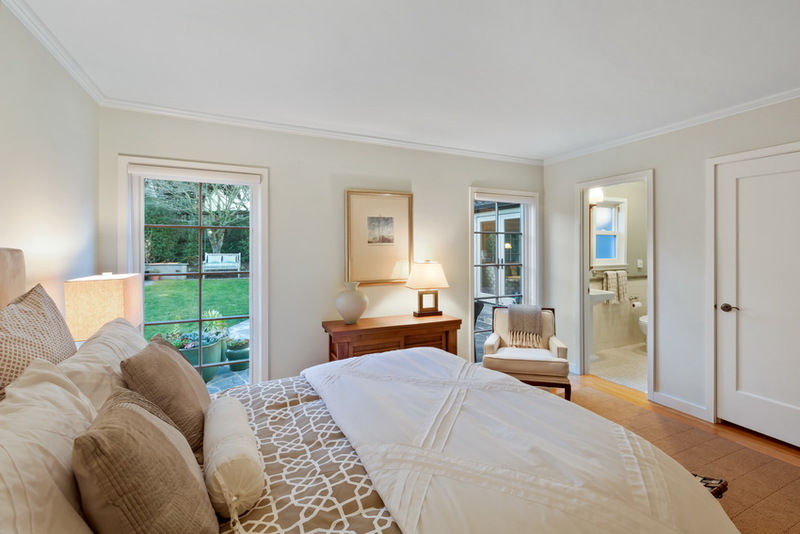 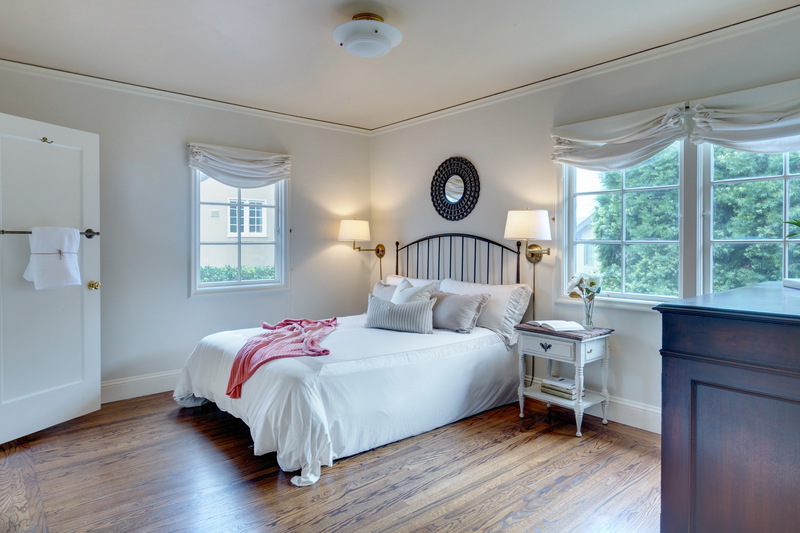 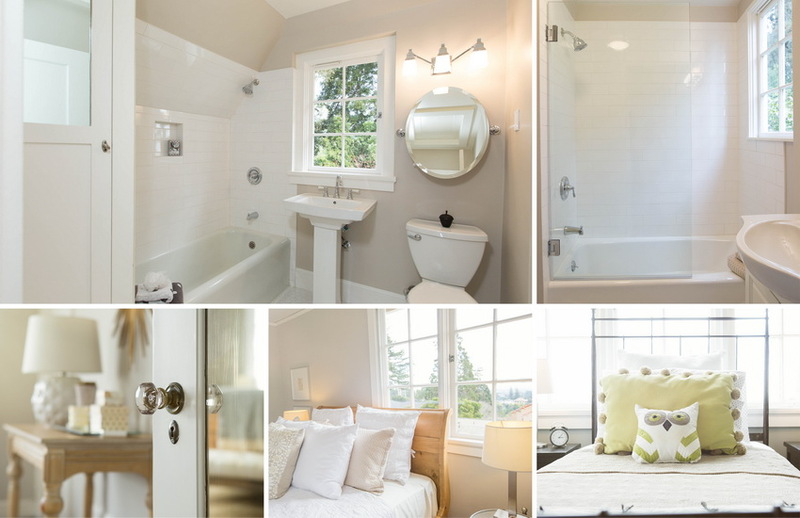 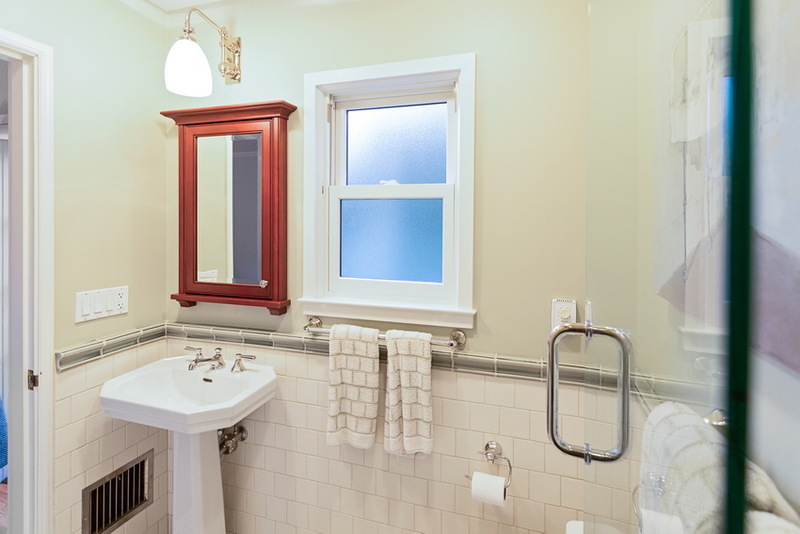 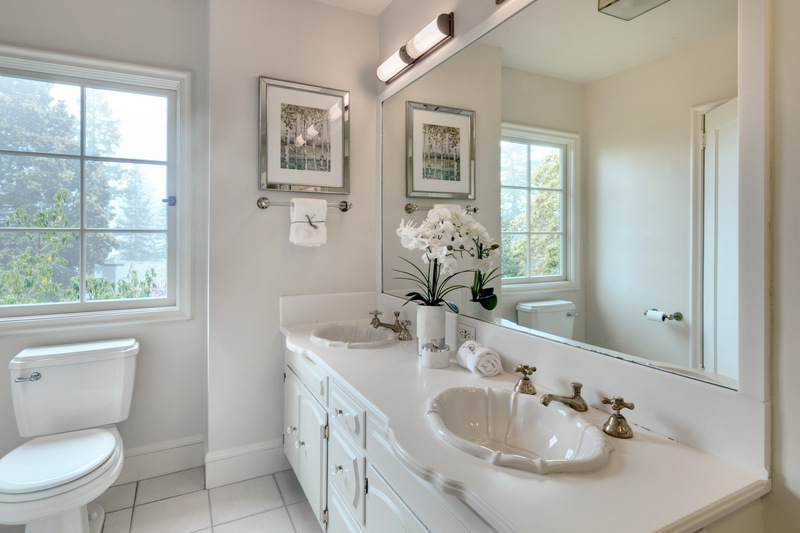 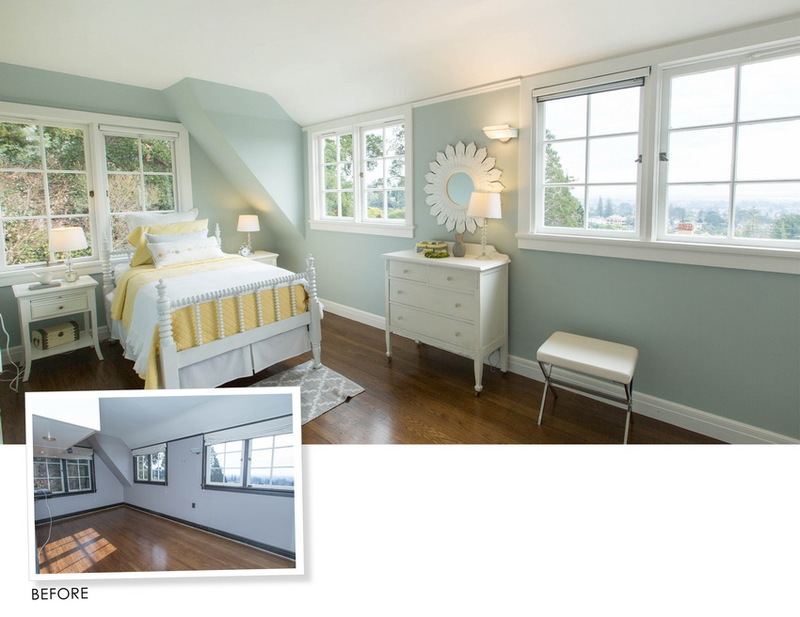 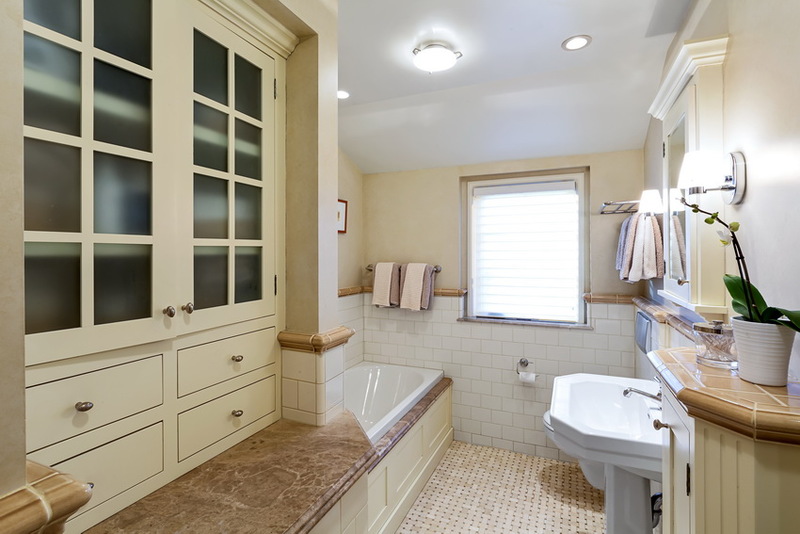 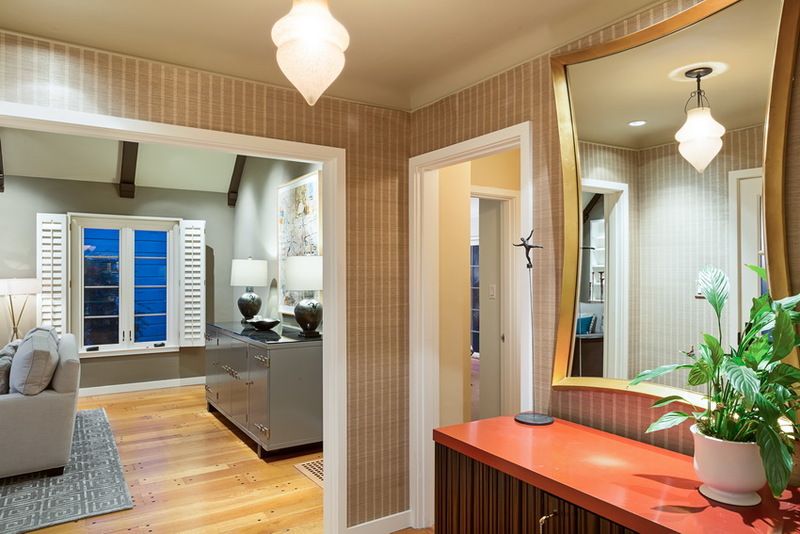 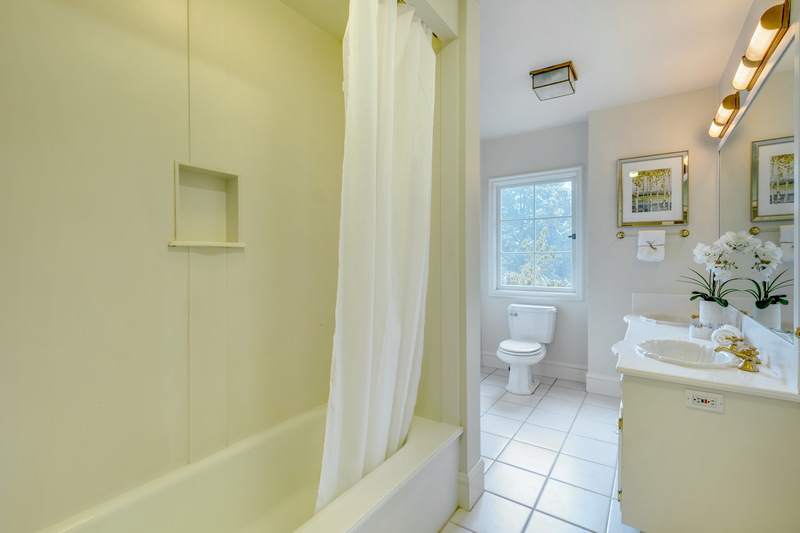 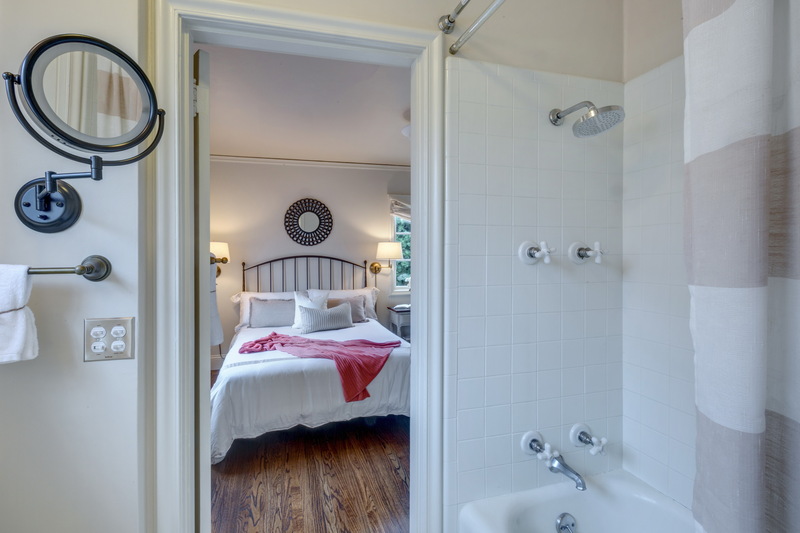 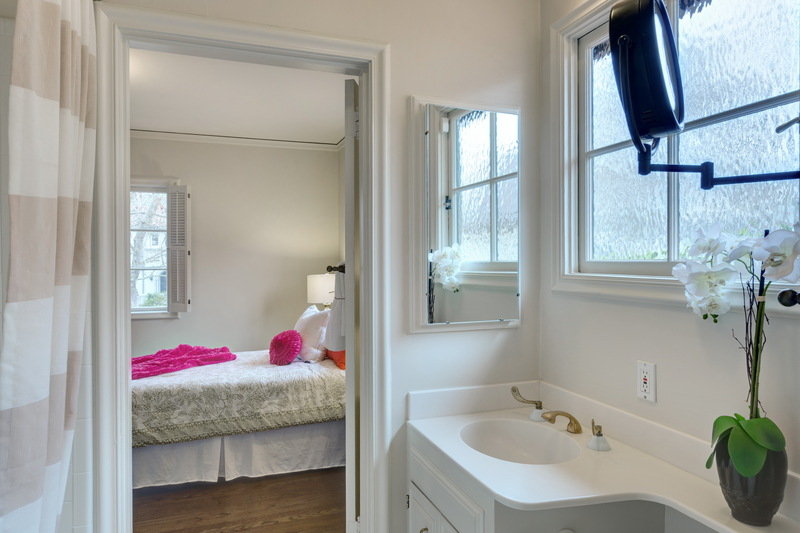 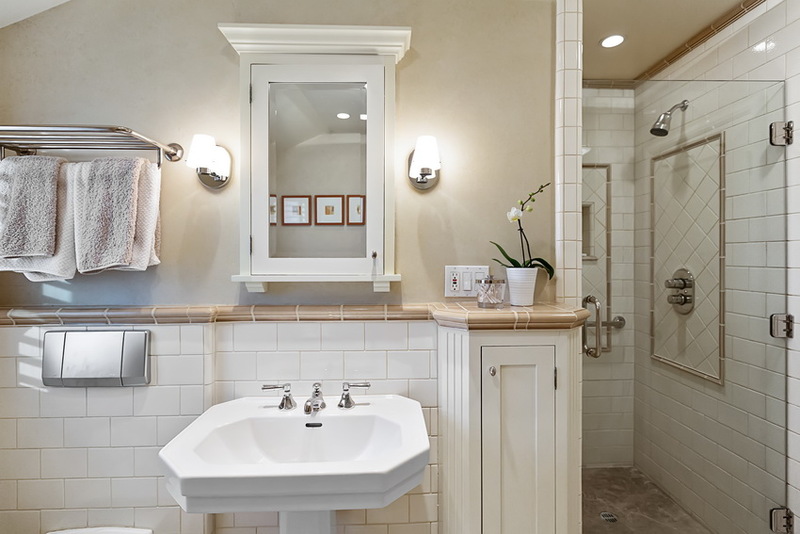 A large master suite, a private bedroom suite and the other two bedrooms share a bathroom, a Jack and Jill set up. 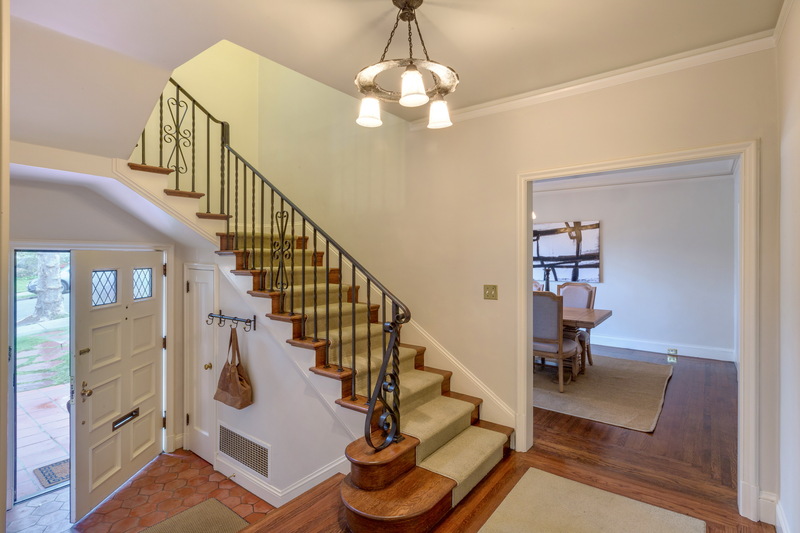 Hardwood floors, beautiful moldings and details, a wood burning fireplace, gorgeous landscaped grounds and a bedroom bath on the main level, are a few highlights of this lovely home. 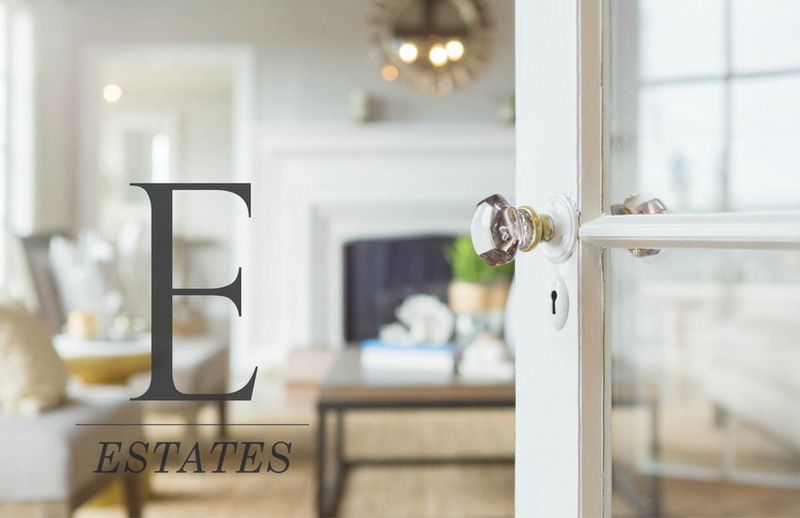 Stop by and see for yourself. 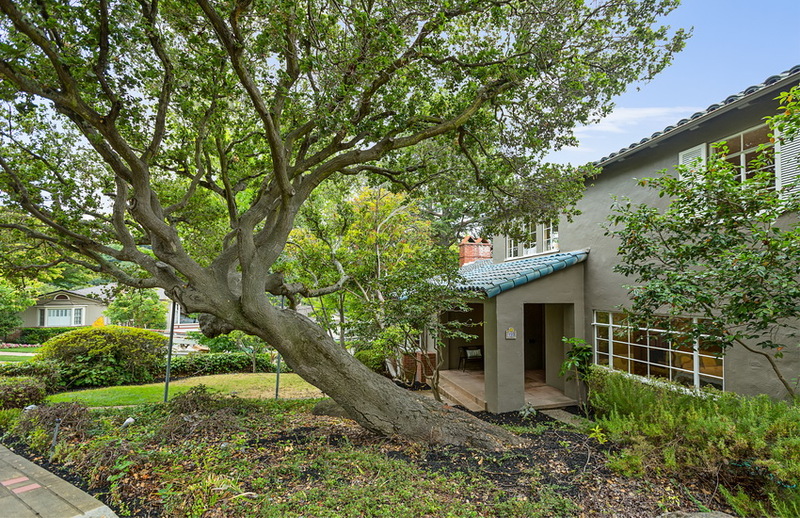 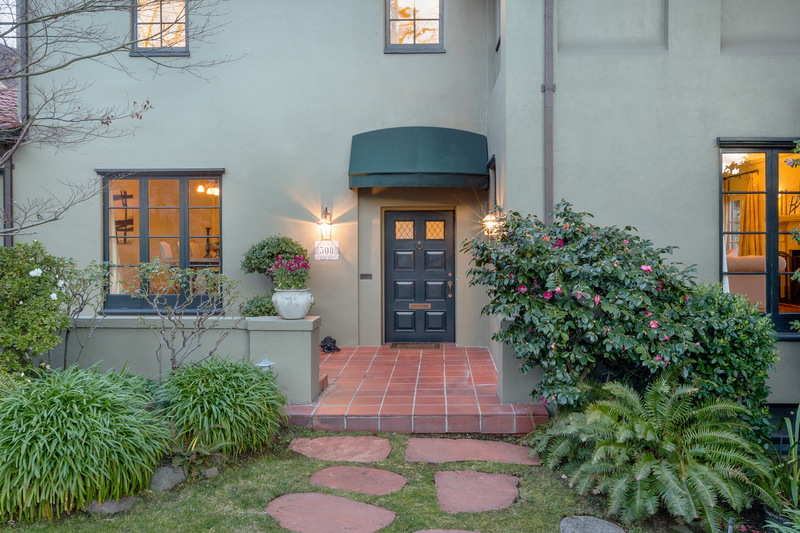 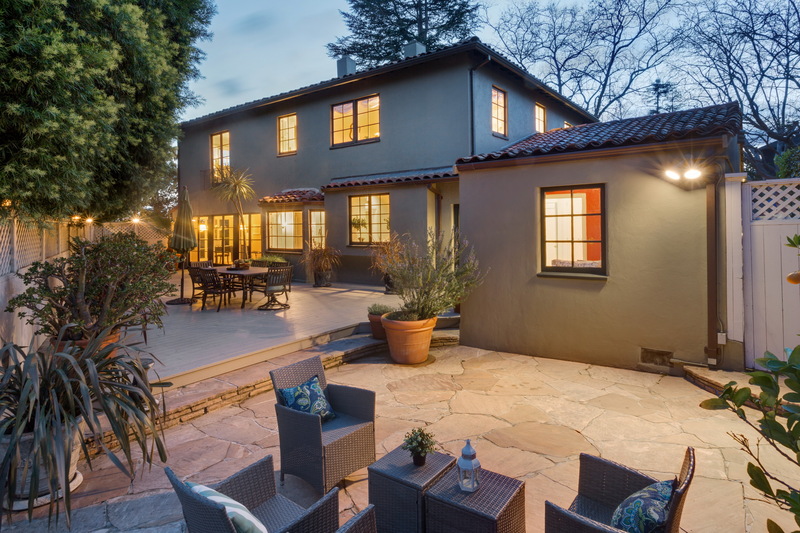 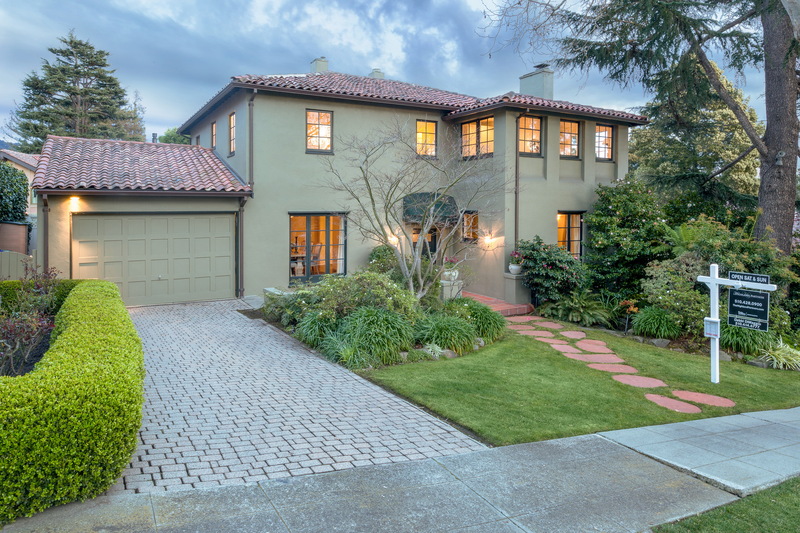 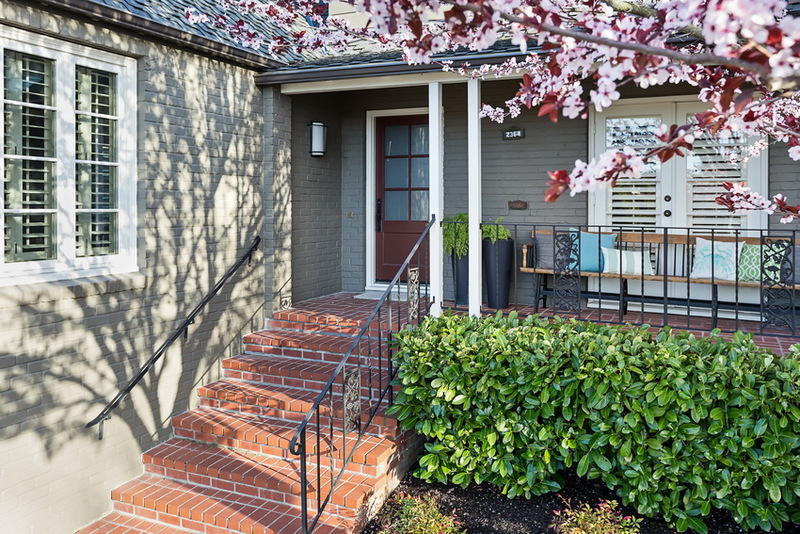 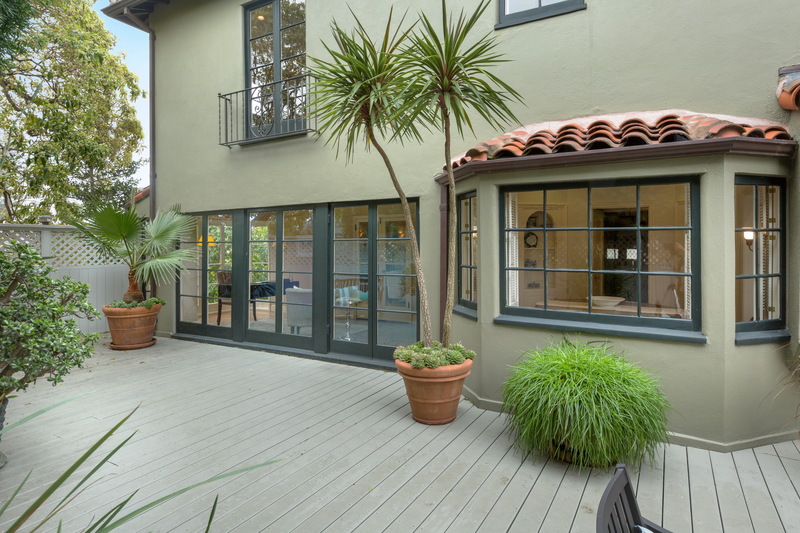 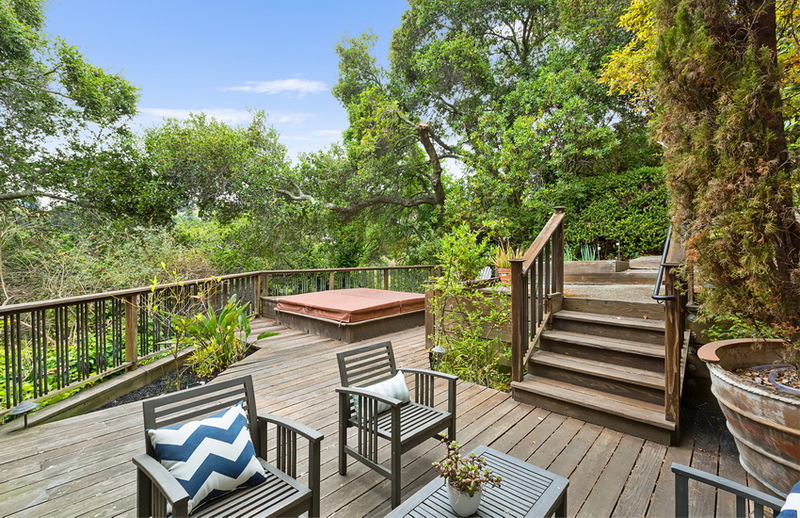 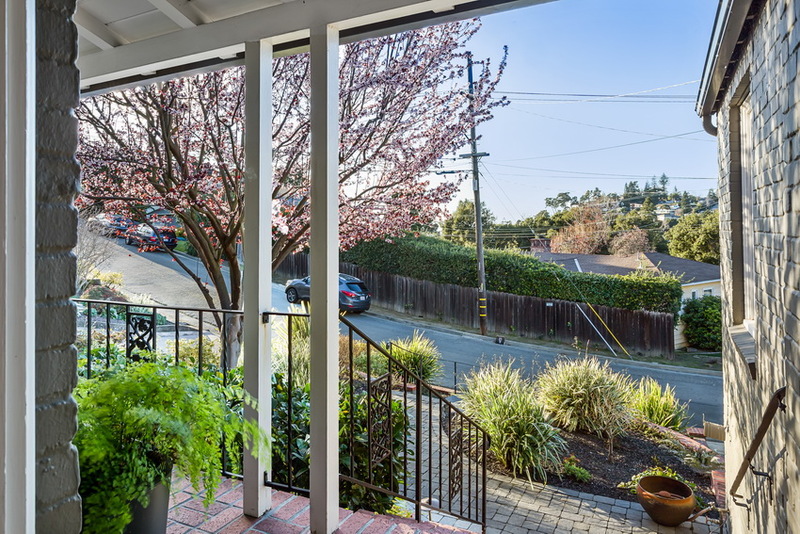 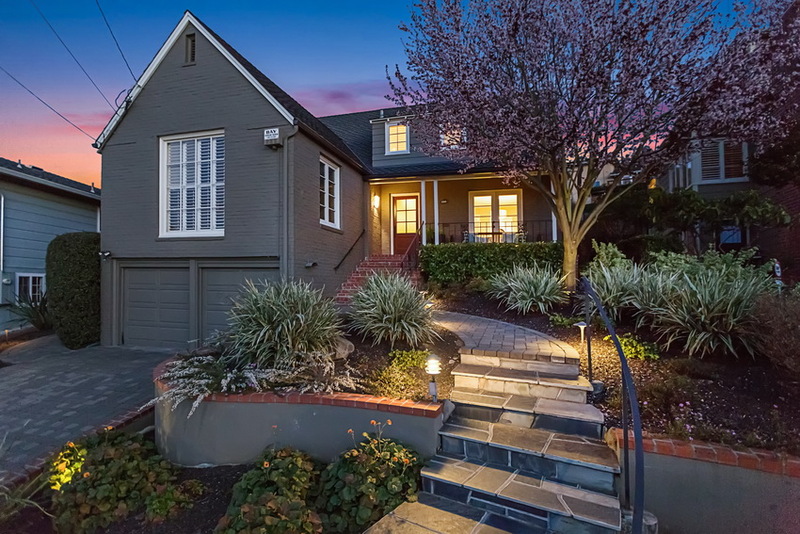 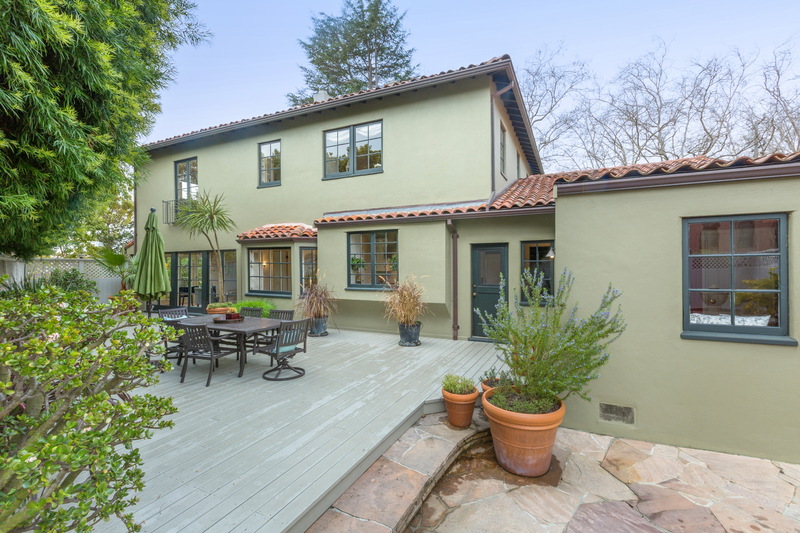 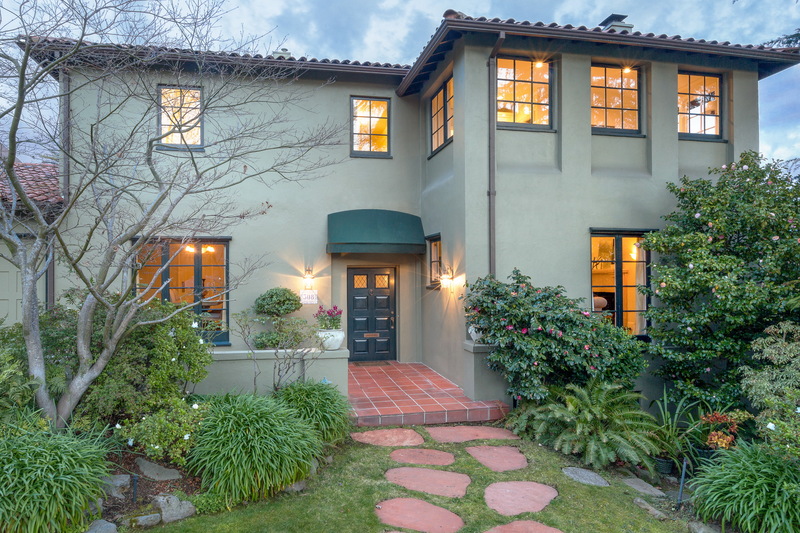 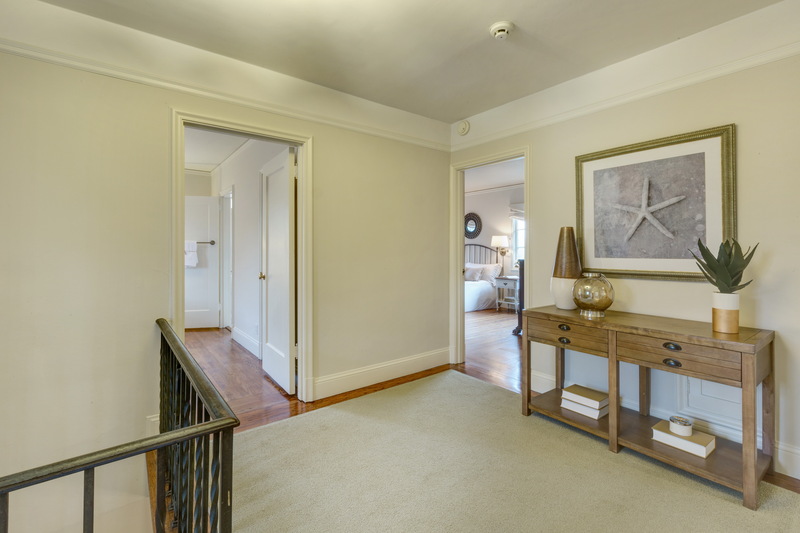 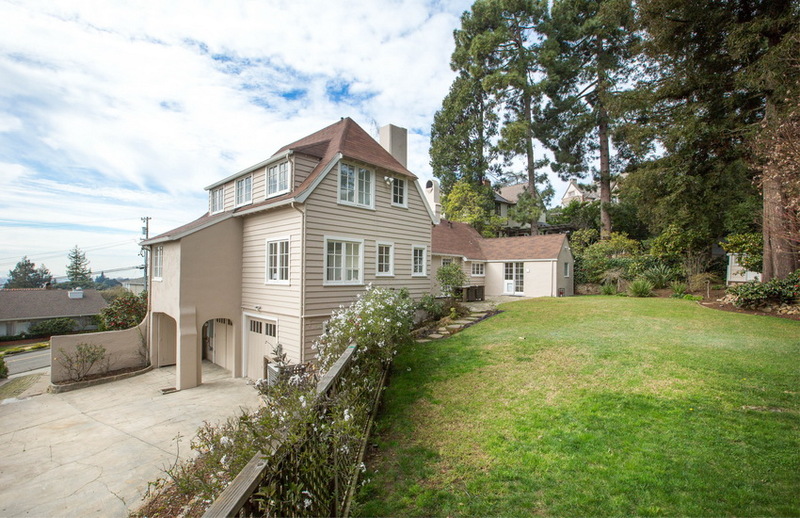 308 Sea View Avenue is situated on one of Piedmont’s most sought after streets, and is home to Piedmont’s top-rated schools, K-12. 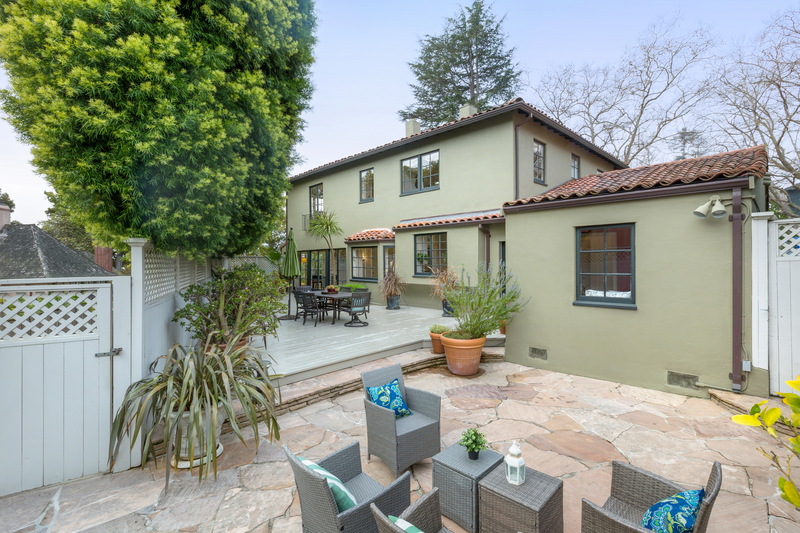 Also convenient to the Montclair Village shops, restaurants and boutiques and just across the Bay Bridge from San Francisco. 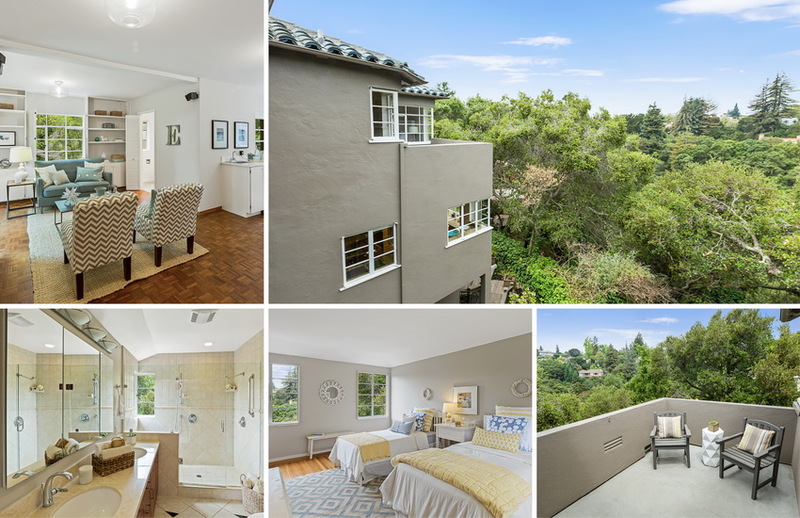 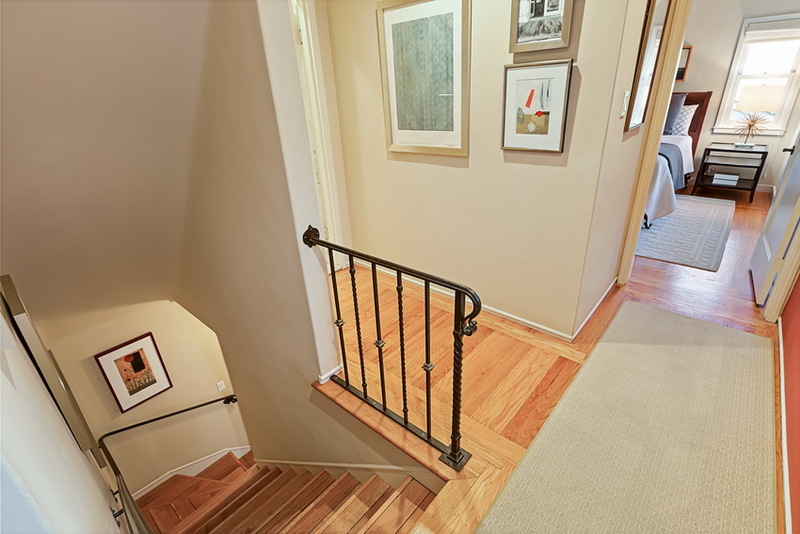 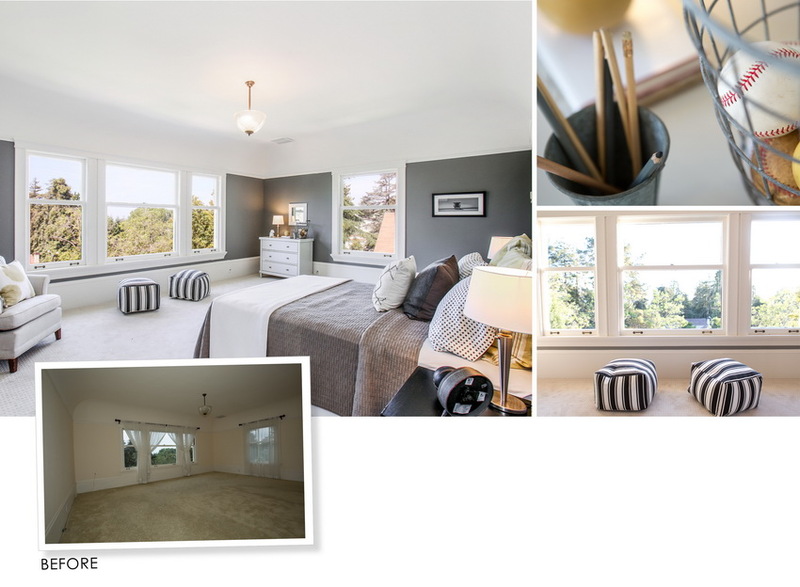 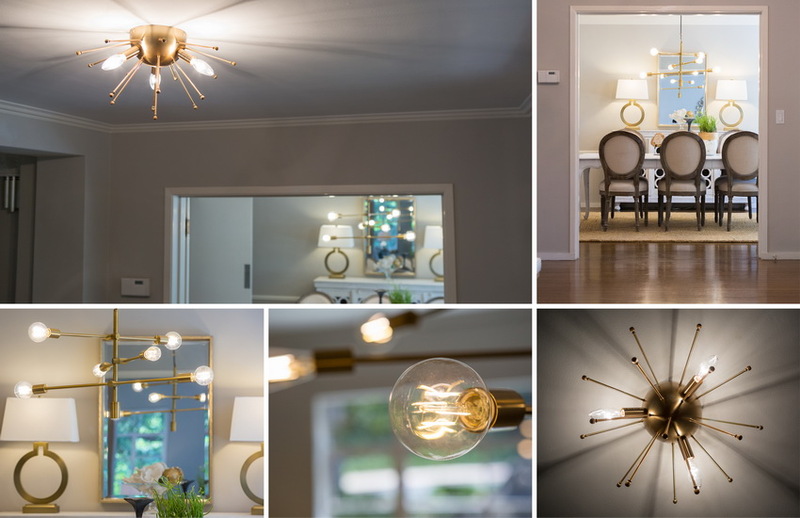 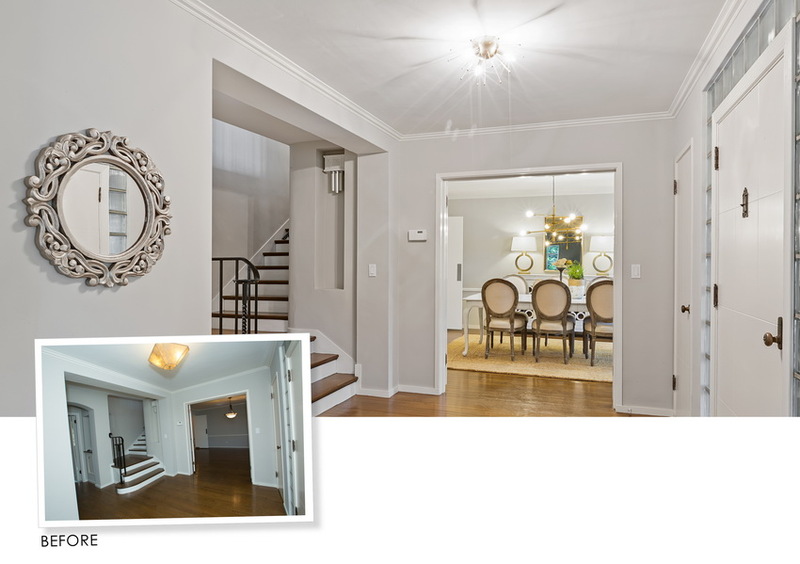 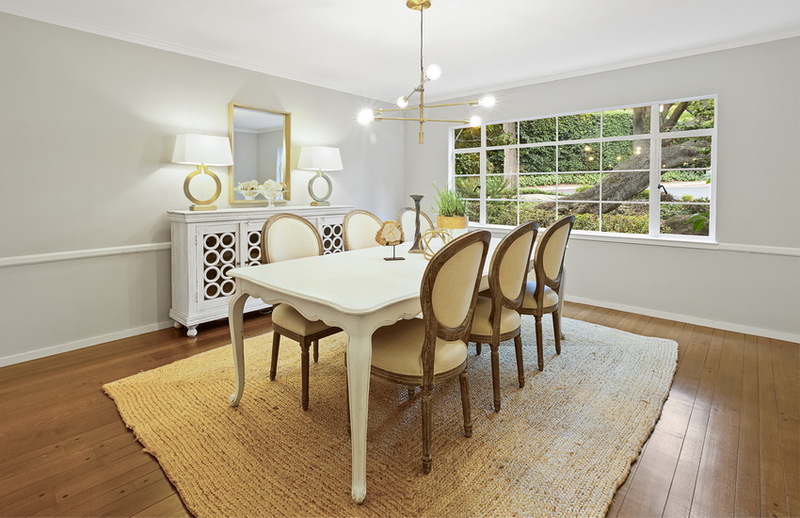 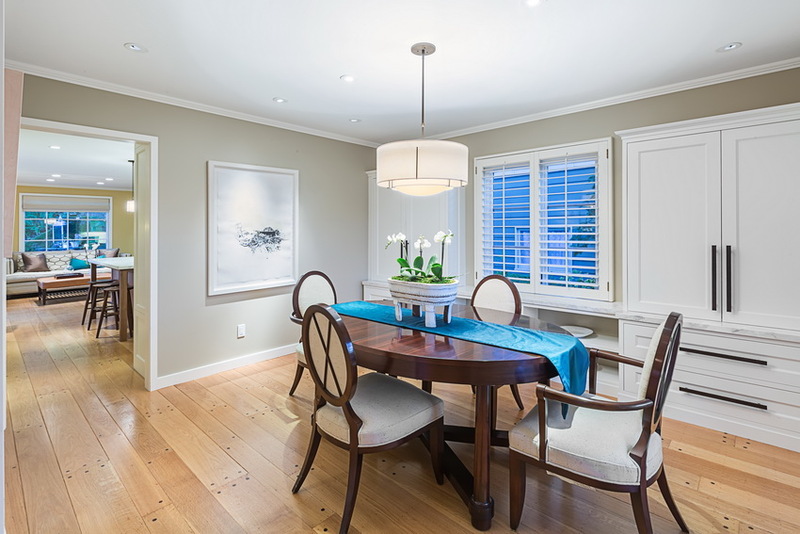 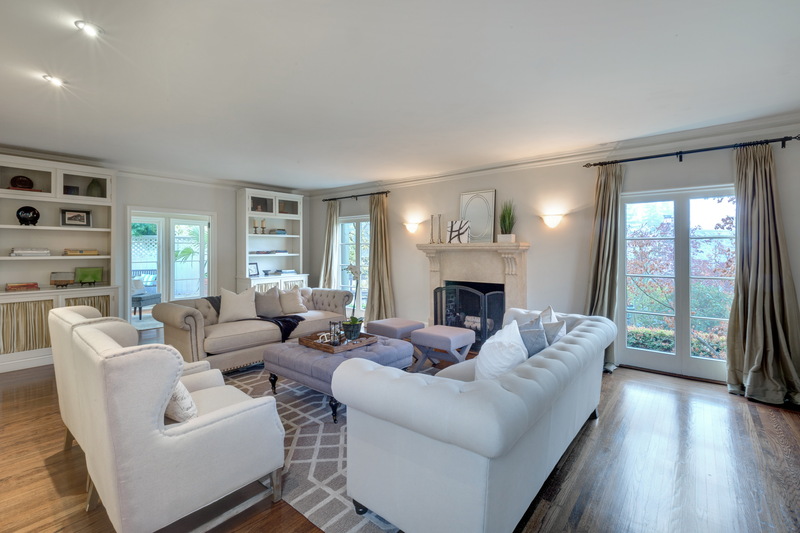 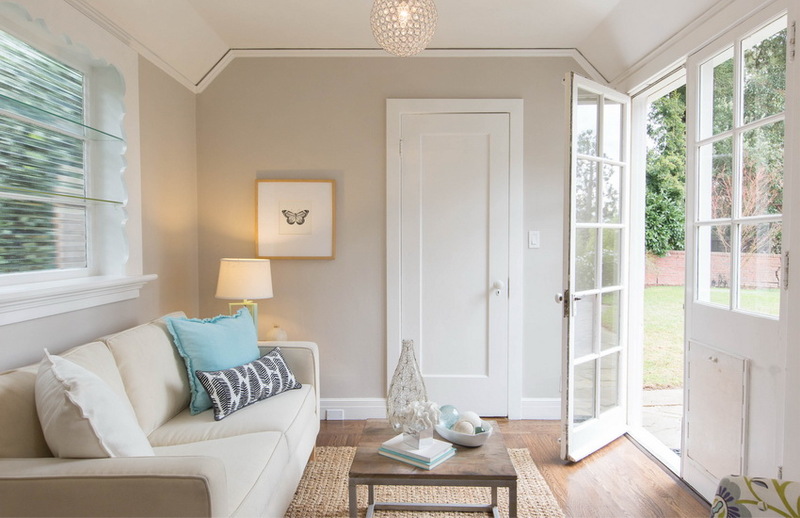 Enjoy coming home to this exquisite three bedroom, two updated bath beauty that boasts a formal living with dramatic vaulted ceilings, a separate dining room appointed with hardwood floors, and a gorgeous kitchen family room that leads out from French doors to a lush level garden. 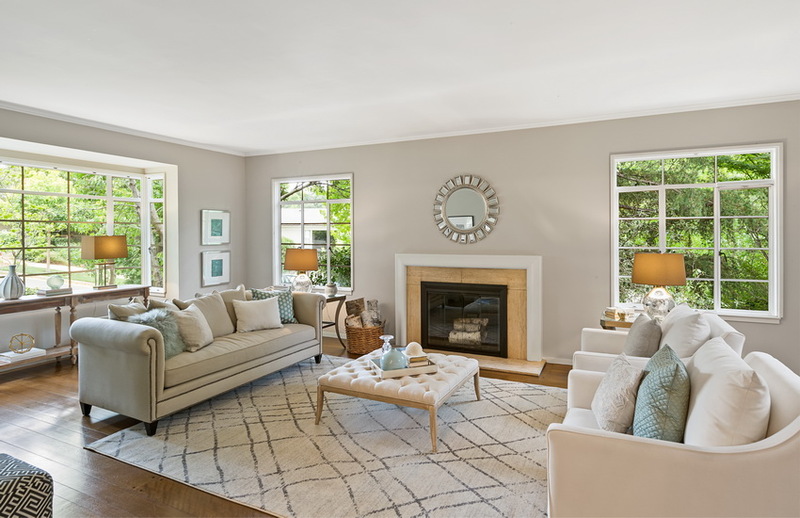 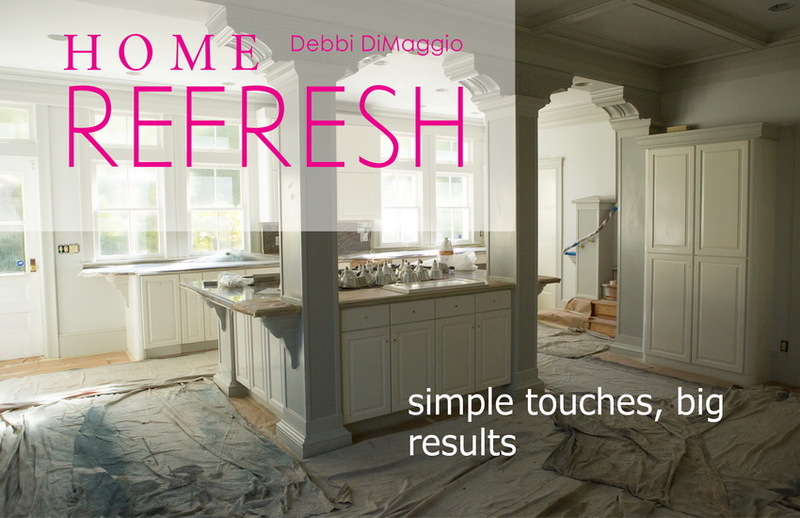 This meticulous Traditional has been lovingly improved and maintained for over 20 years and is ready for the next homeowner to call home. 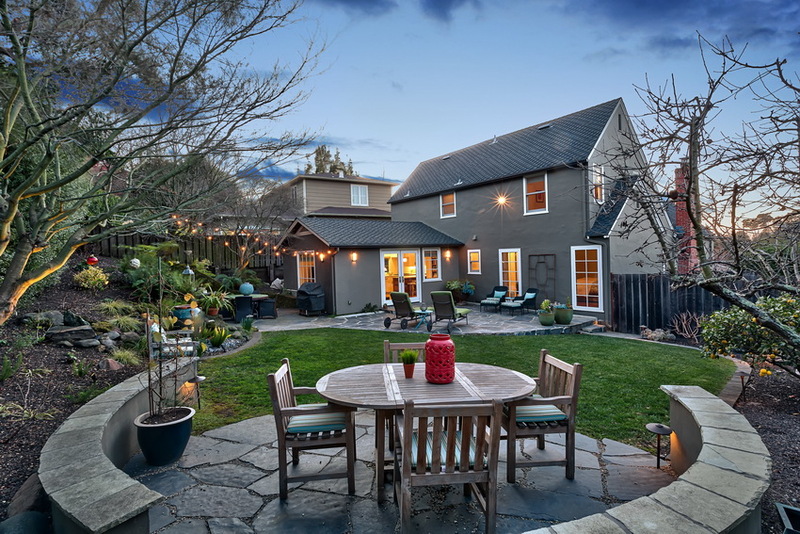 Let us know if you have questions or would like to book an appointment to see this or other homes in the East Bay. 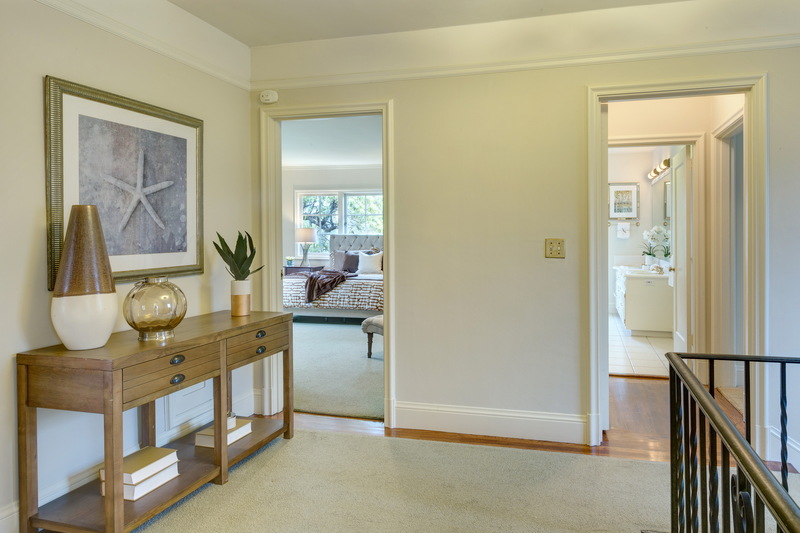 Nothing quite like taking a home from lived in, to staged to sell. 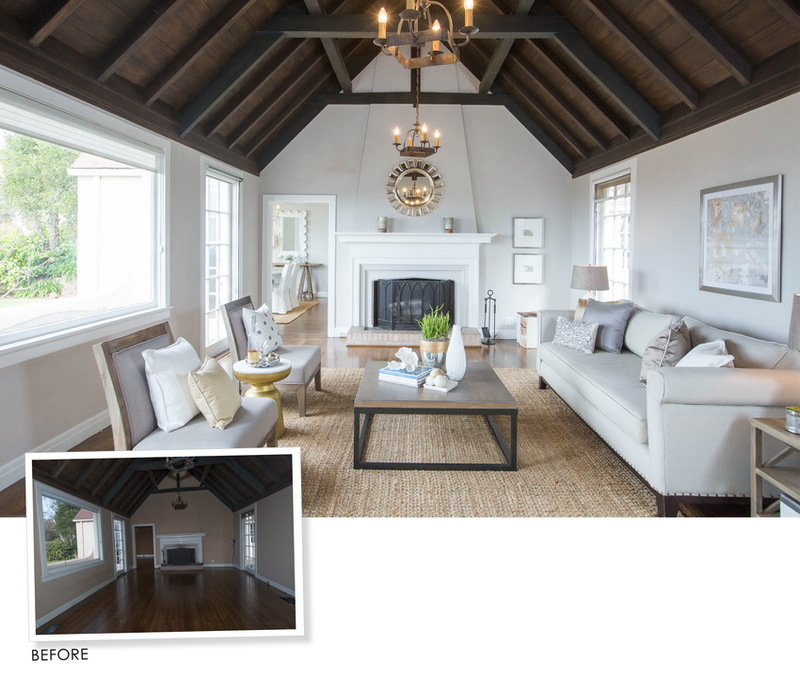 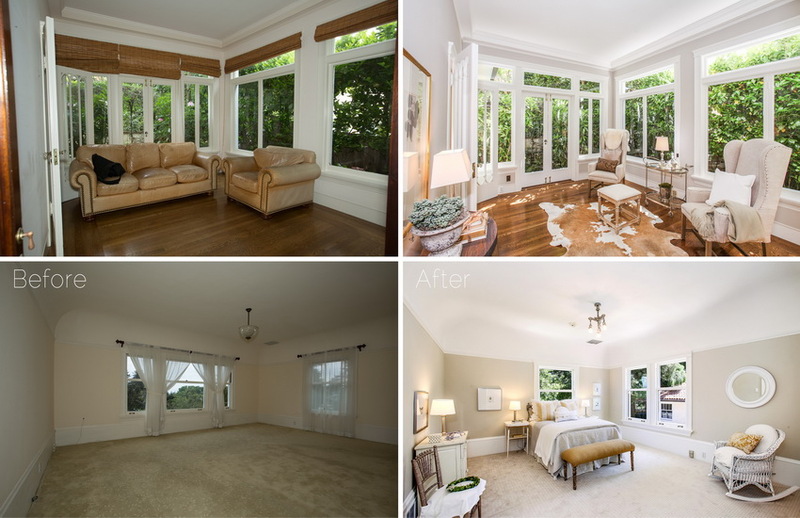 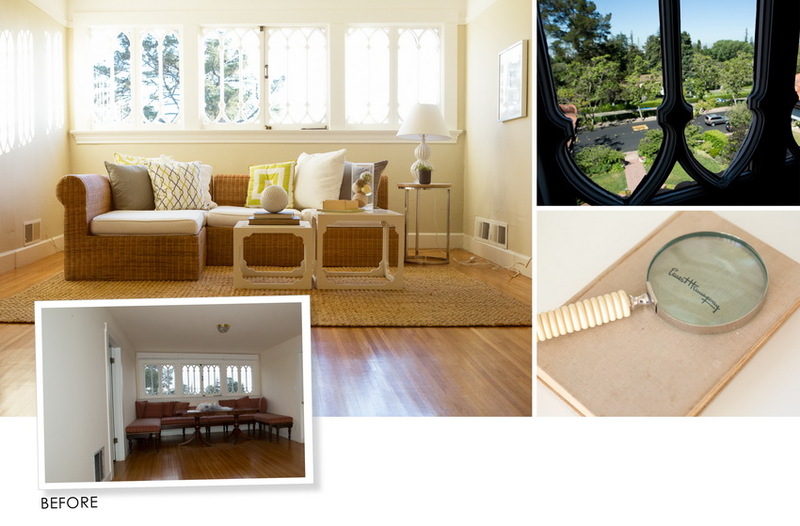 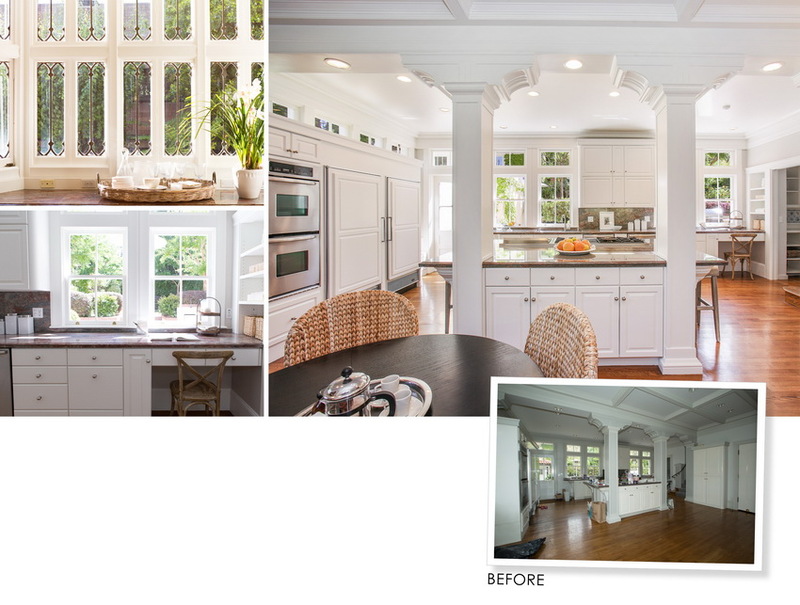 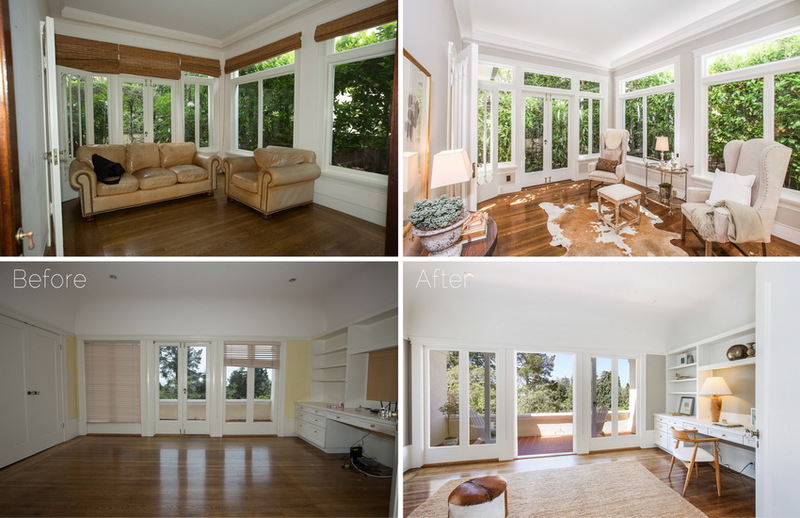 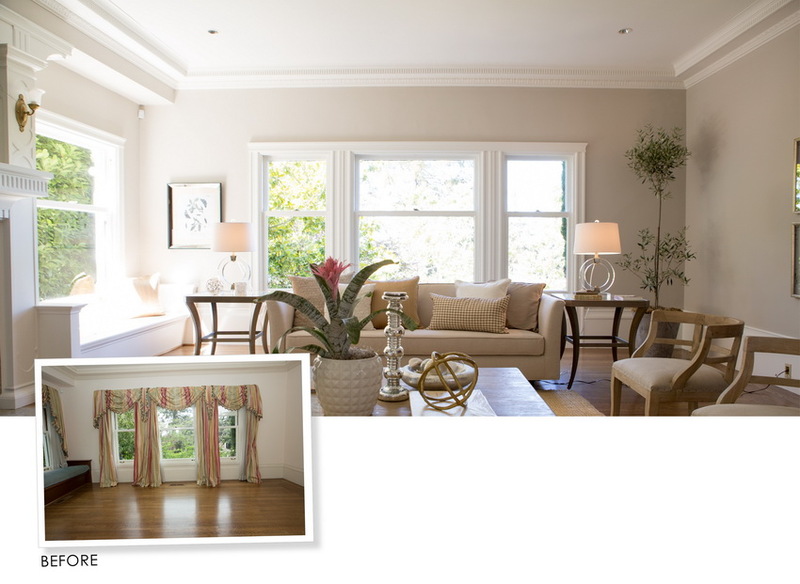 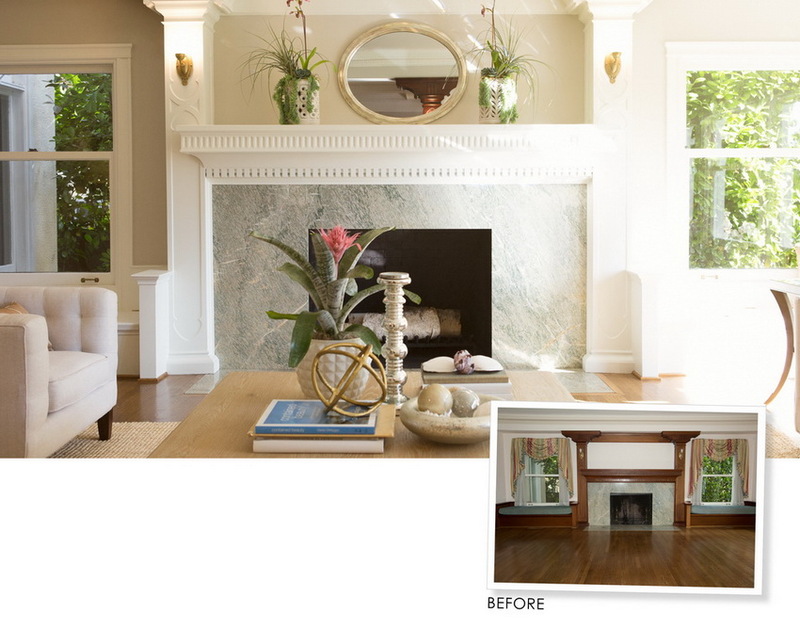 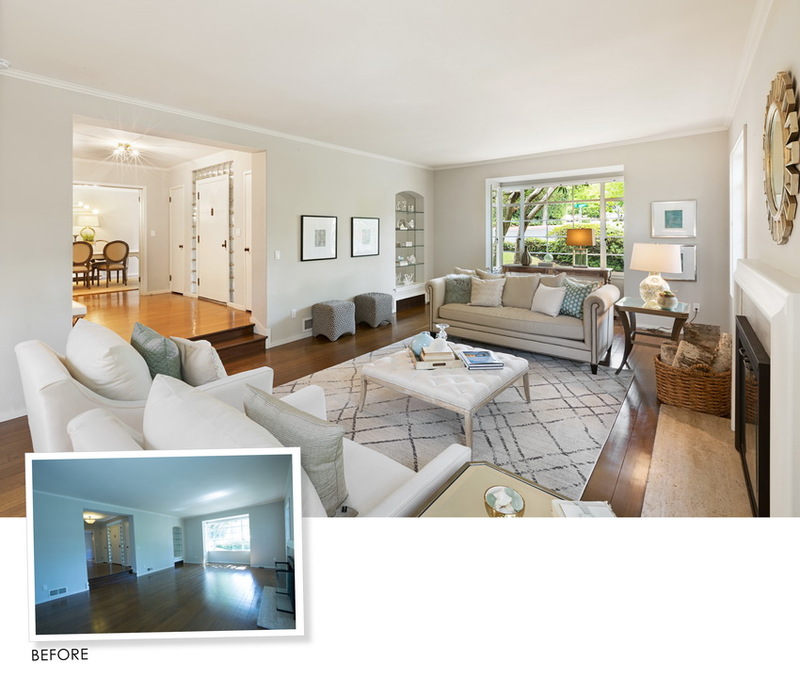 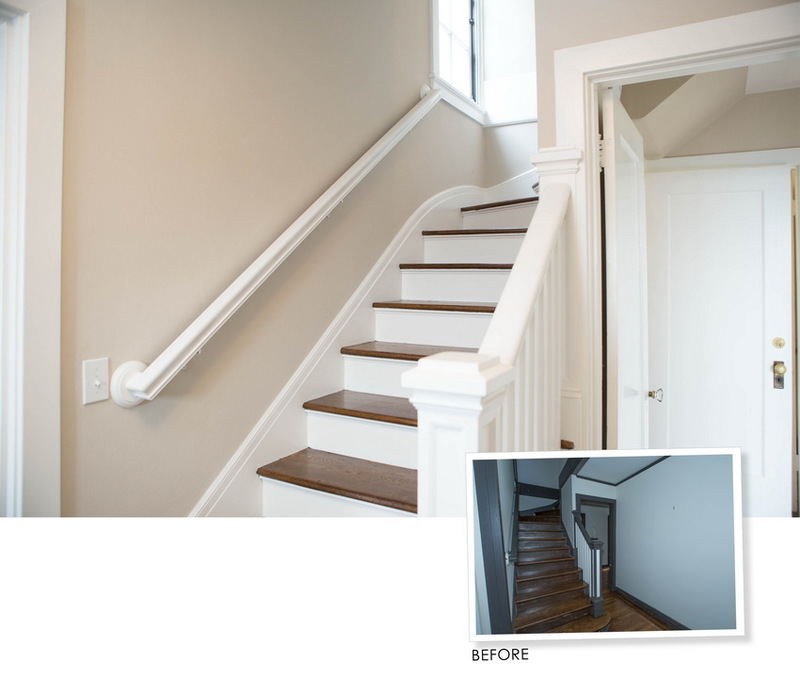 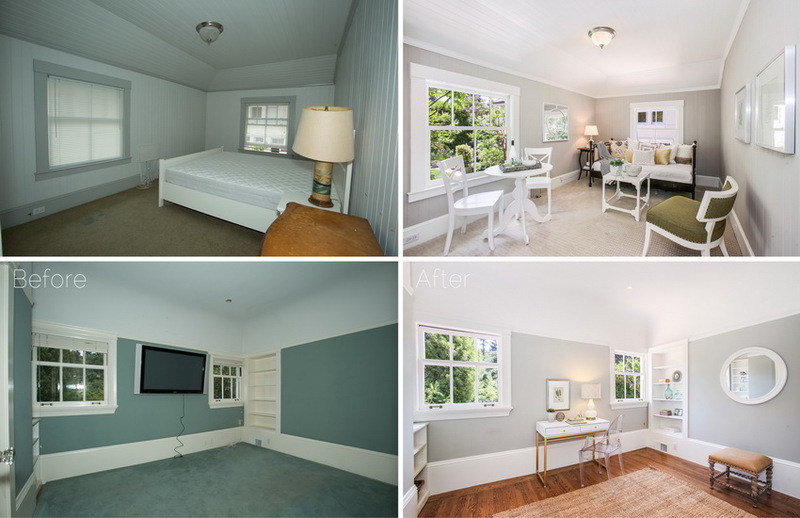 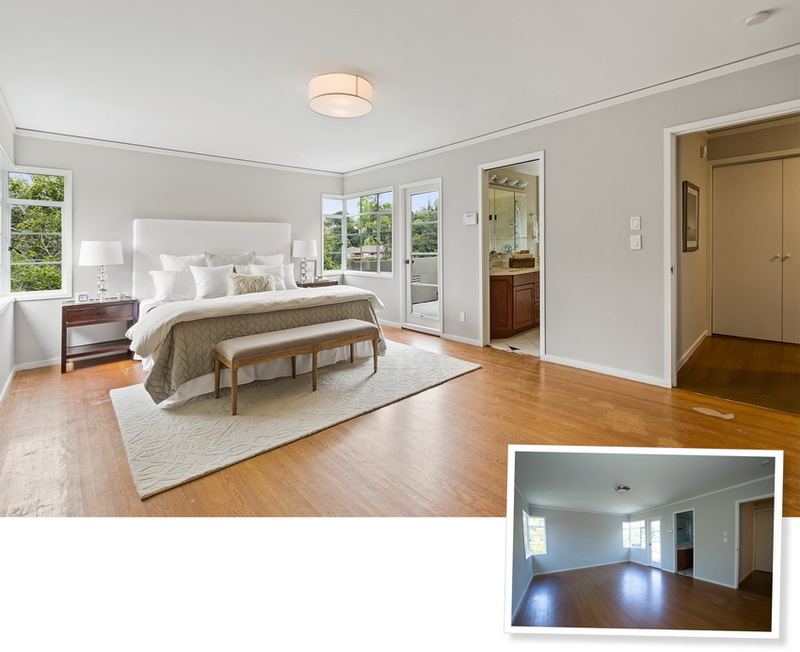 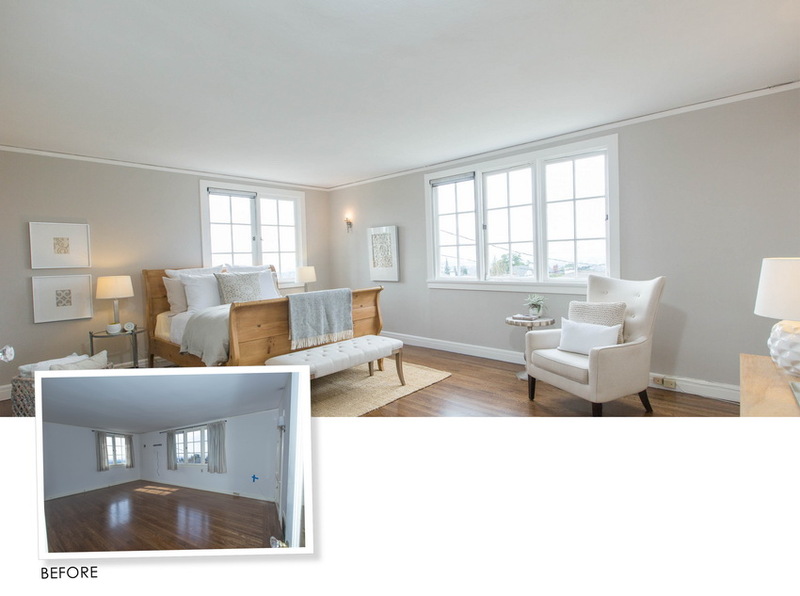 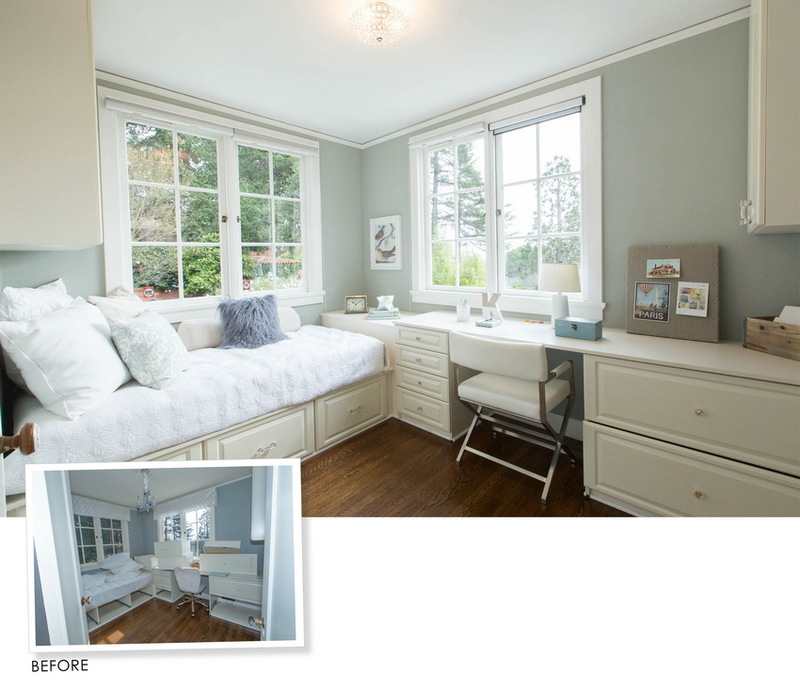 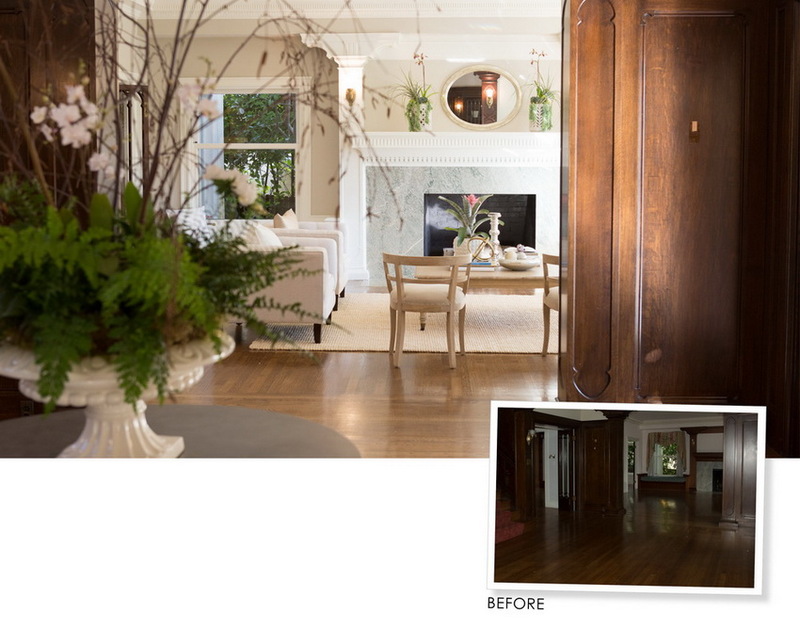 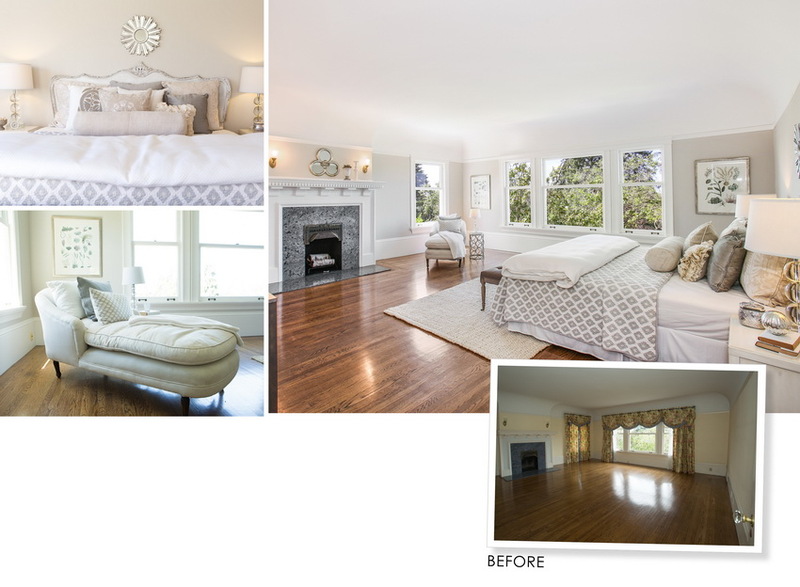 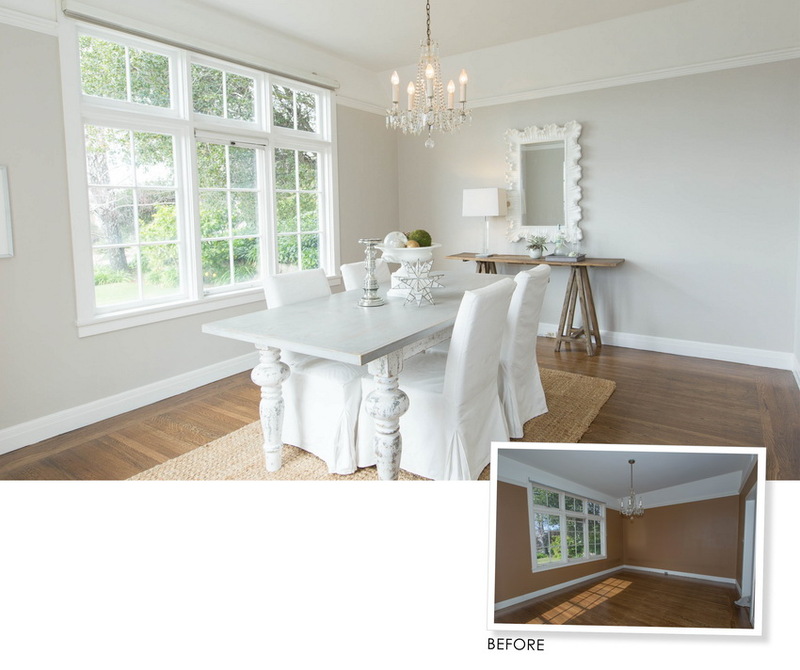 The transformation is always heart-warming to me, and successful for the seller. 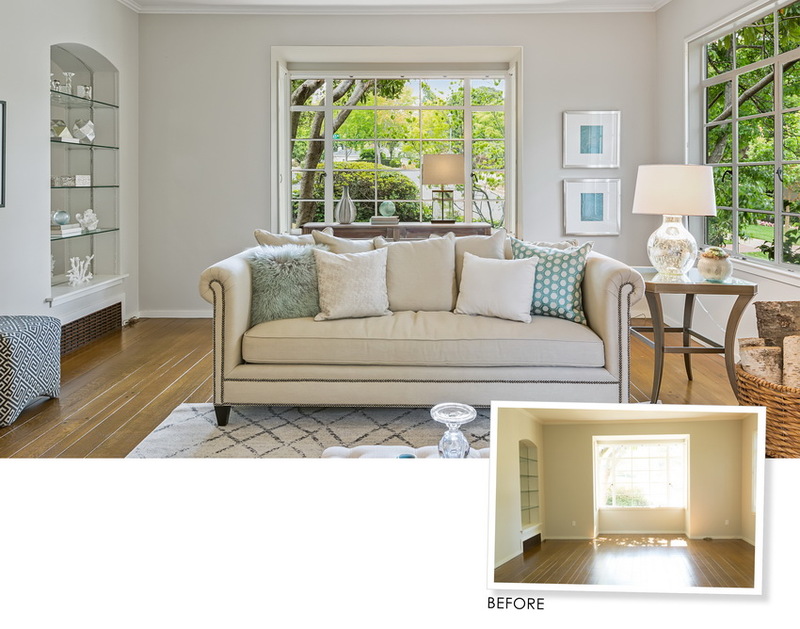 Real Estate is one of your biggest assets, so improving your home for sale is crucial to realizing its potential and reaping the rewards. 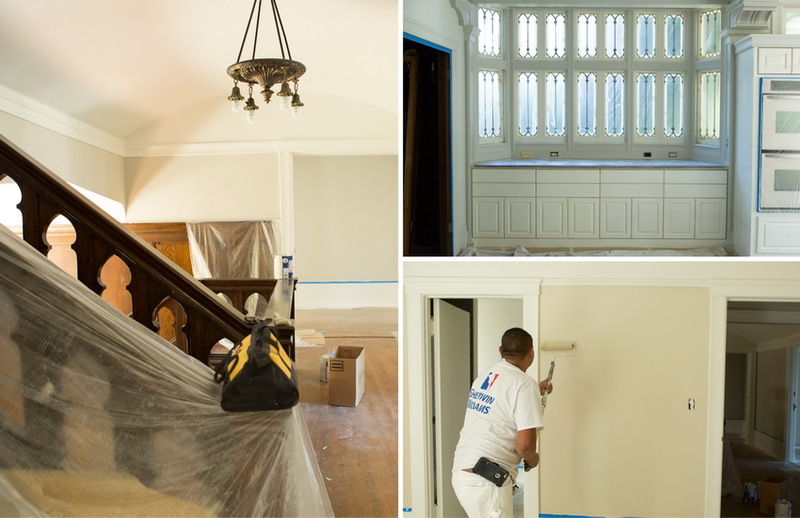 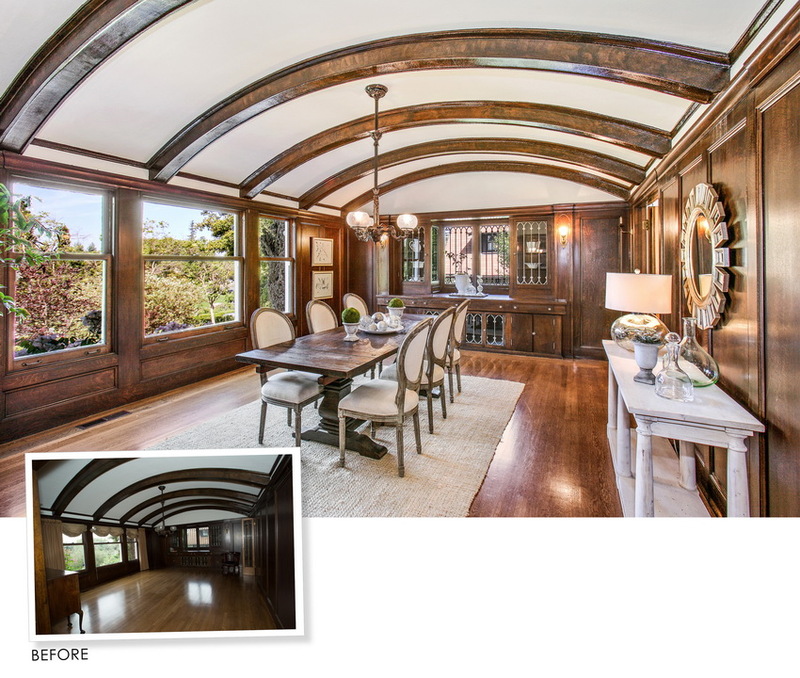 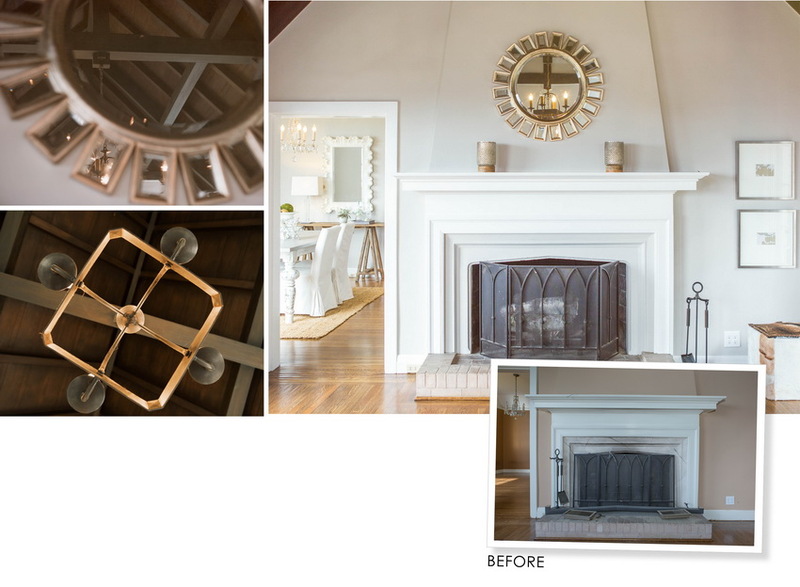 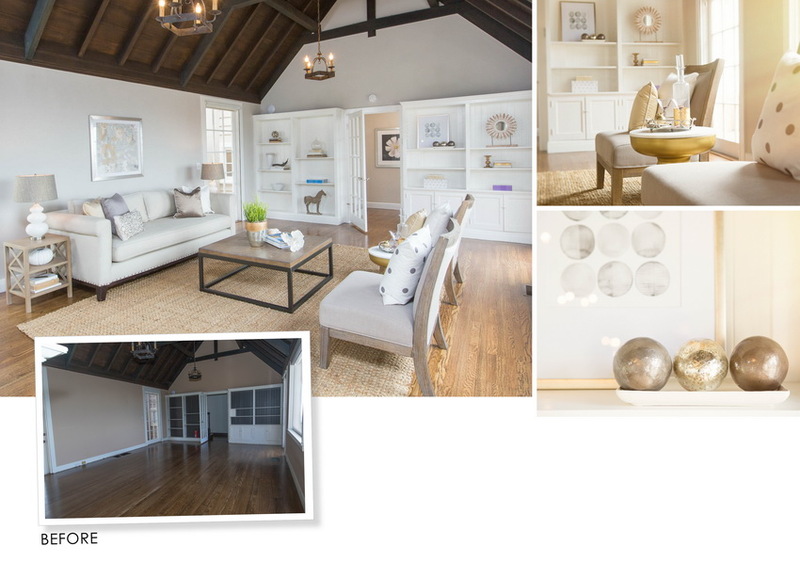 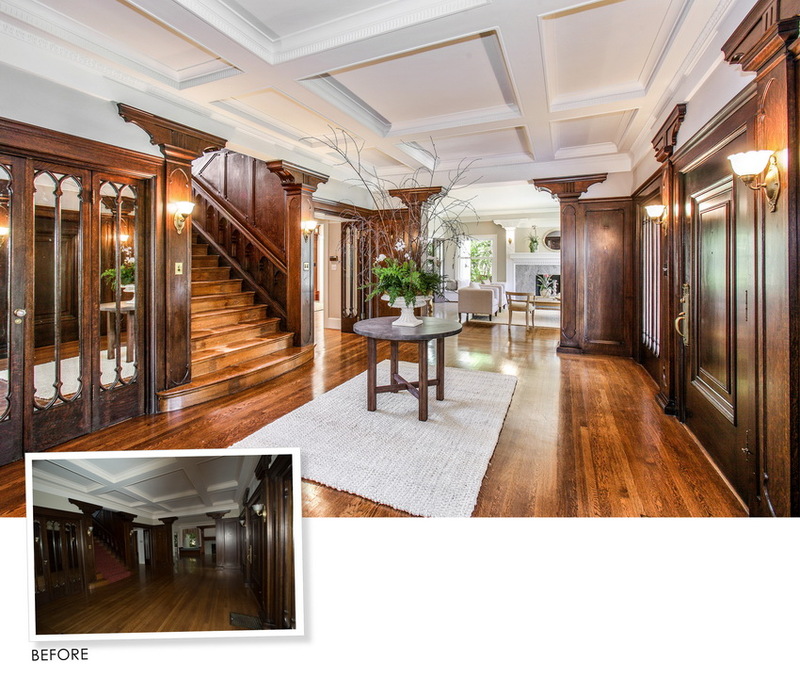 Before and After photographs of the historic Ghirardelli Mansion in Piedmont. 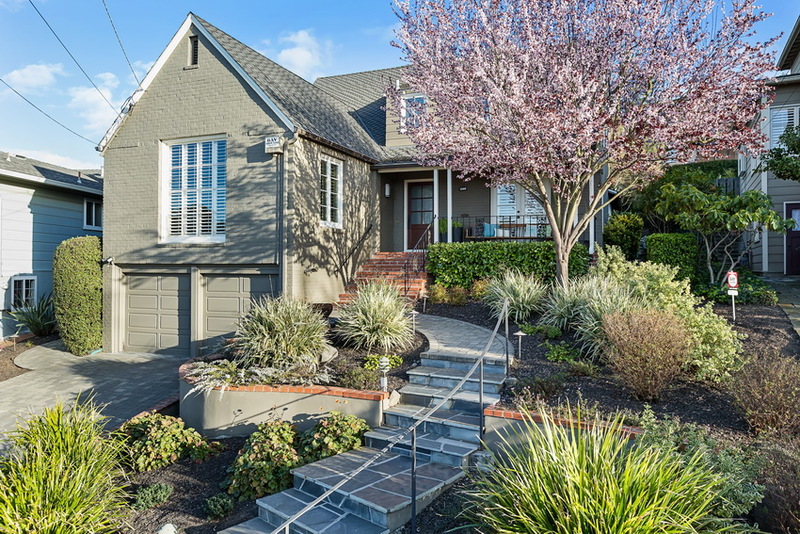 Piedmont is certainly home to top-rated schools, K-12 but more then that, anyone who resides in Piedmont knows Piedmont is more then a town, it’s a small community with spirit and passion. 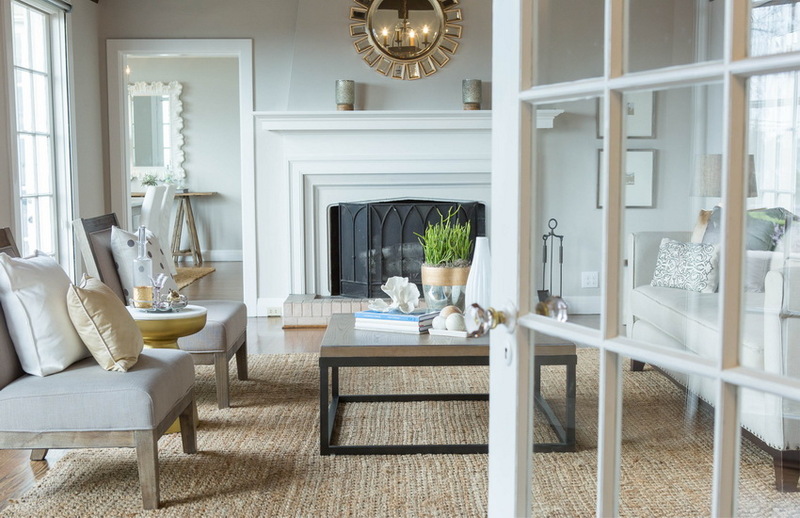 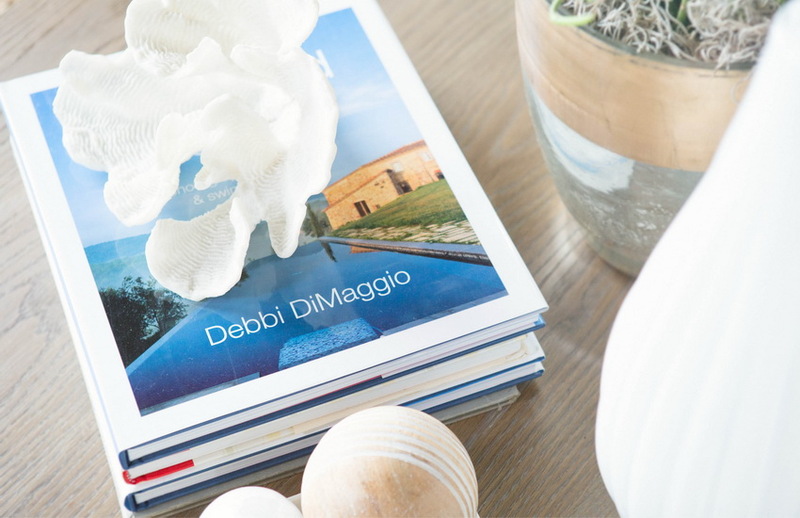 When you buy into Piedmont not only do you have the luxury of private fire and police departments dedicated to its citizens but you will come to enjoy a lifetime of connections and experiences. 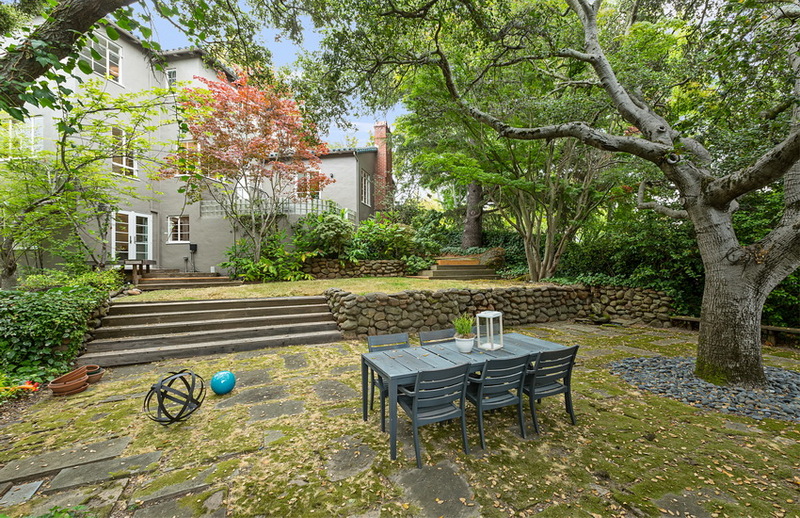 Begin your legacy here just as we have.